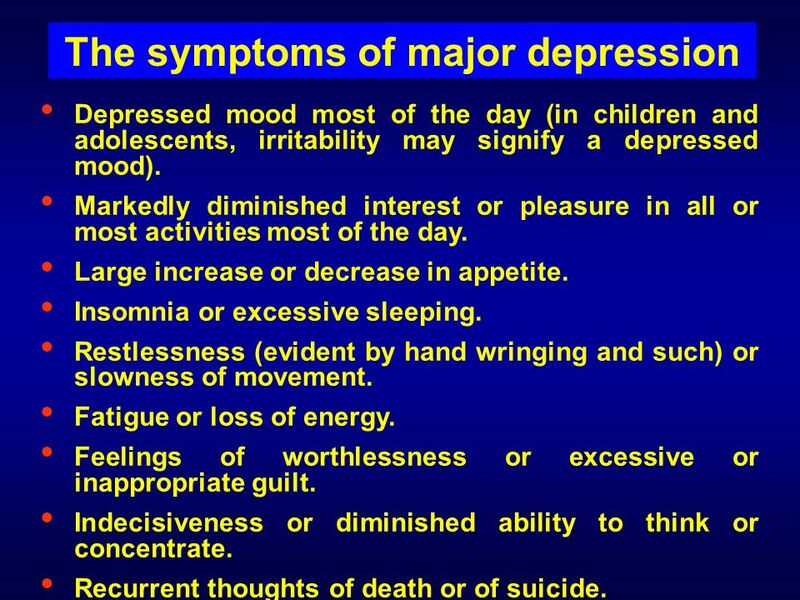 Depressed mood most of the day (in children and adolescents, irritability may signify a depressed mood). 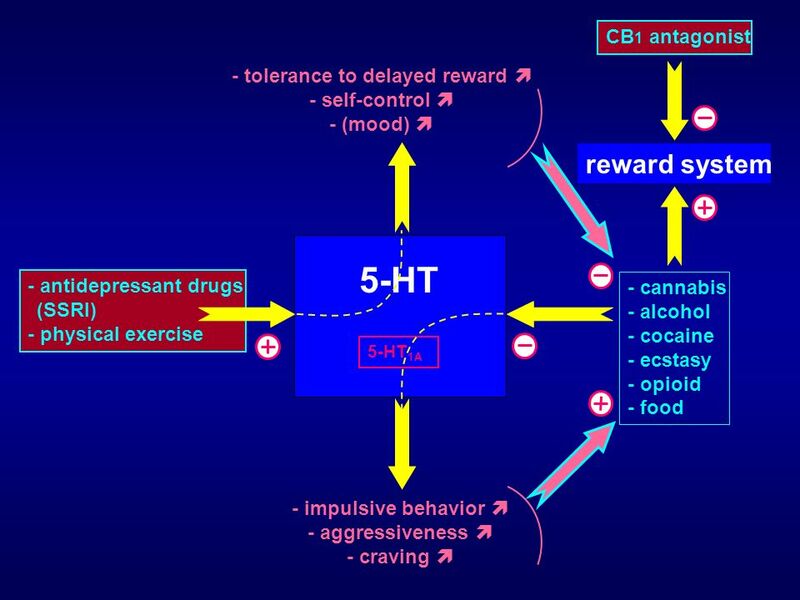 Markedly diminished interest or pleasure in all or most activities most of the day. 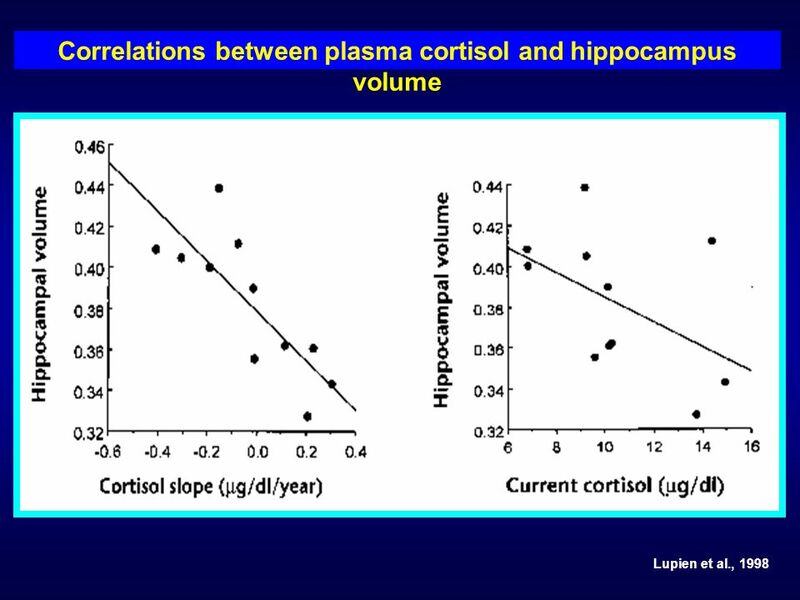 Large increase or decrease in appetite. 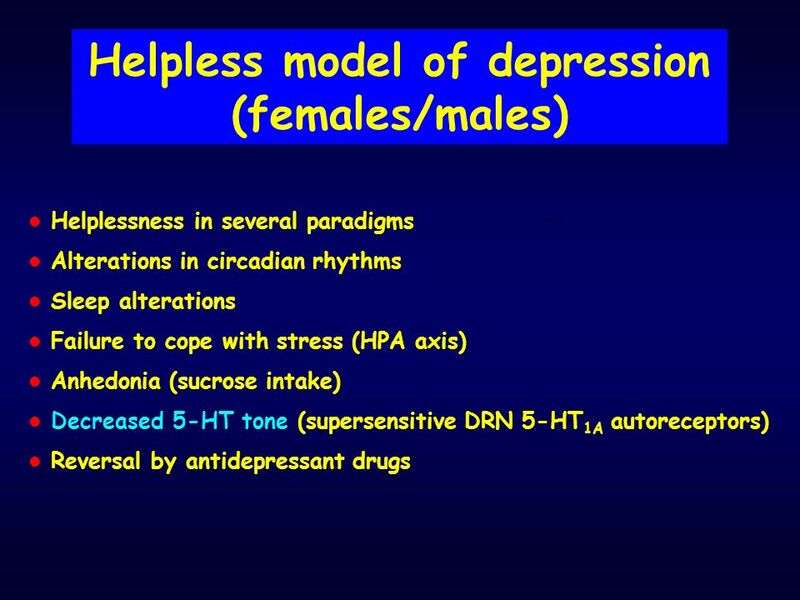 Insomnia or excessive sleeping. 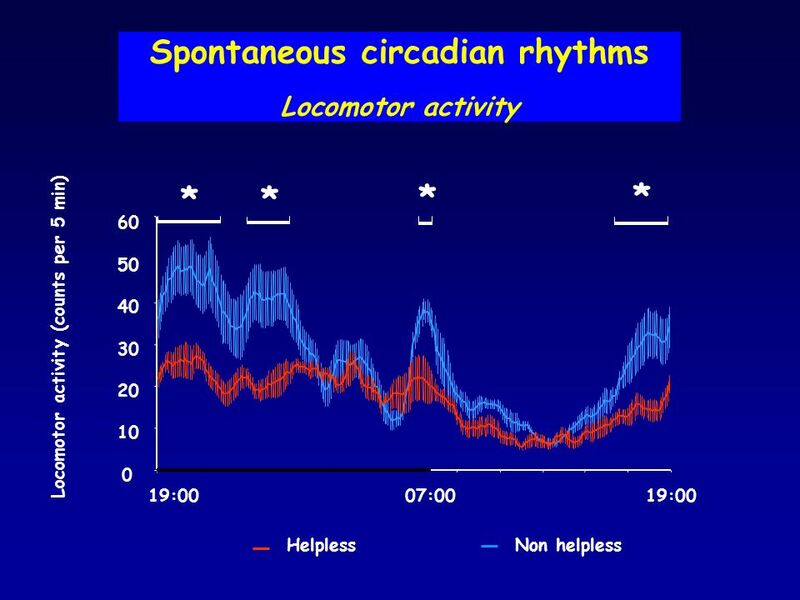 Restlessness (evident by hand wringing and such) or slowness of movement. 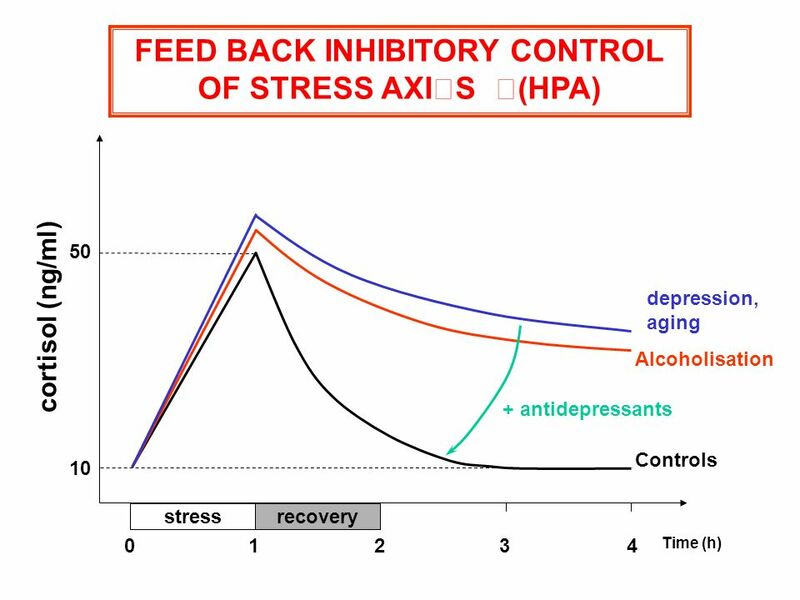 Fatigue or loss of energy. 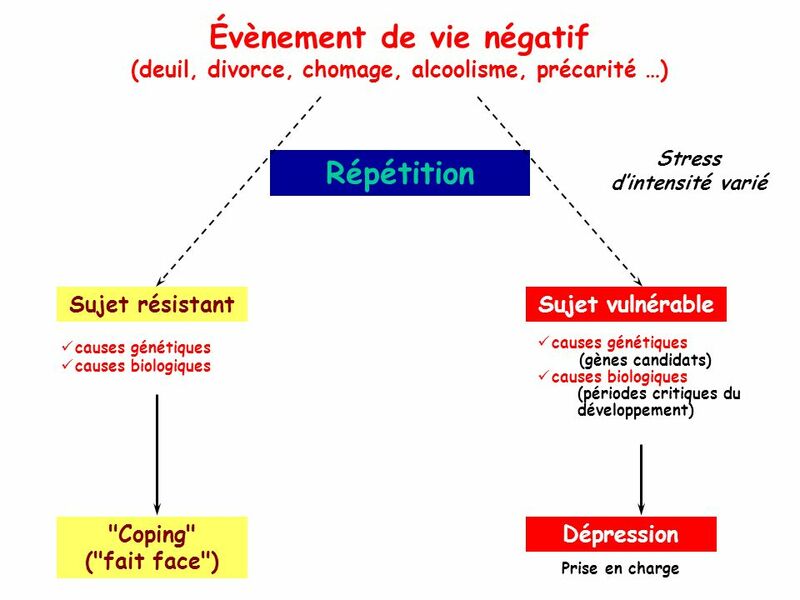 Feelings of worthlessness or excessive or inappropriate guilt. 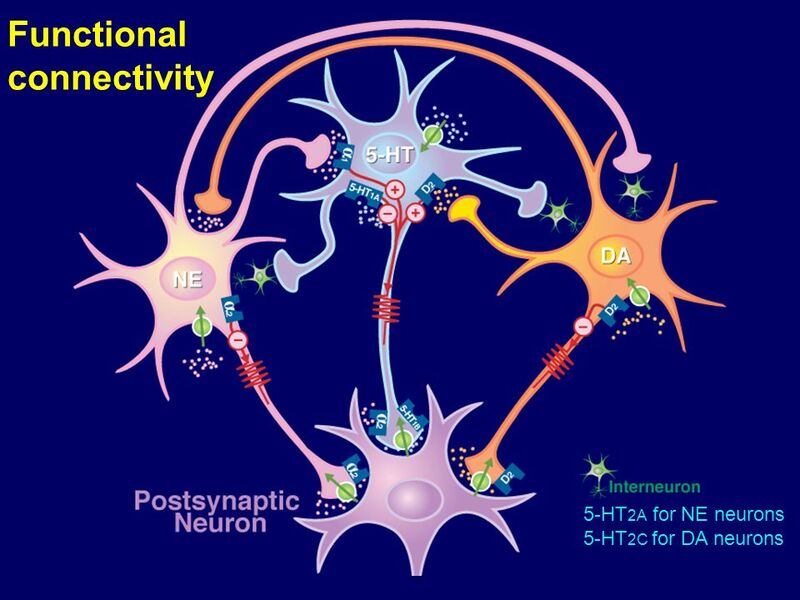 Indecisiveness or diminished ability to think or concentrate. Recurrent thoughts of death or of suicide. 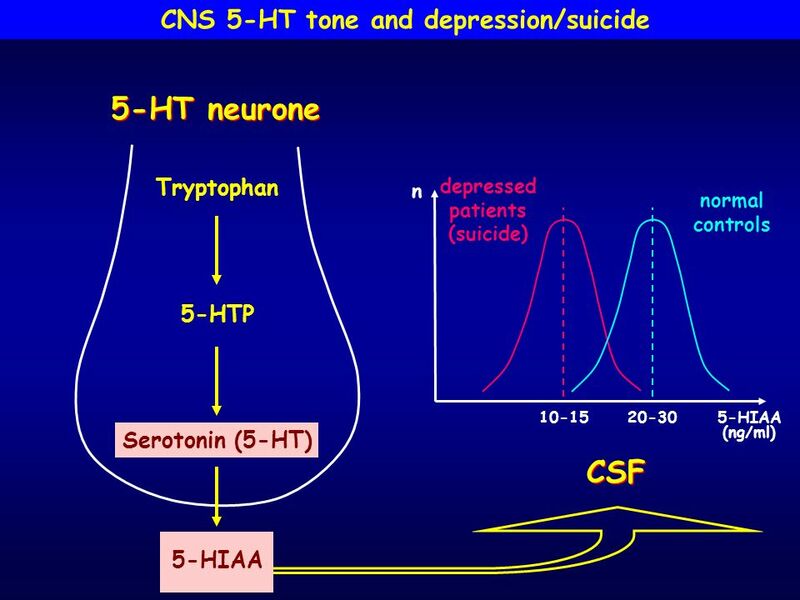 Reduced CSF 5-HIAA. 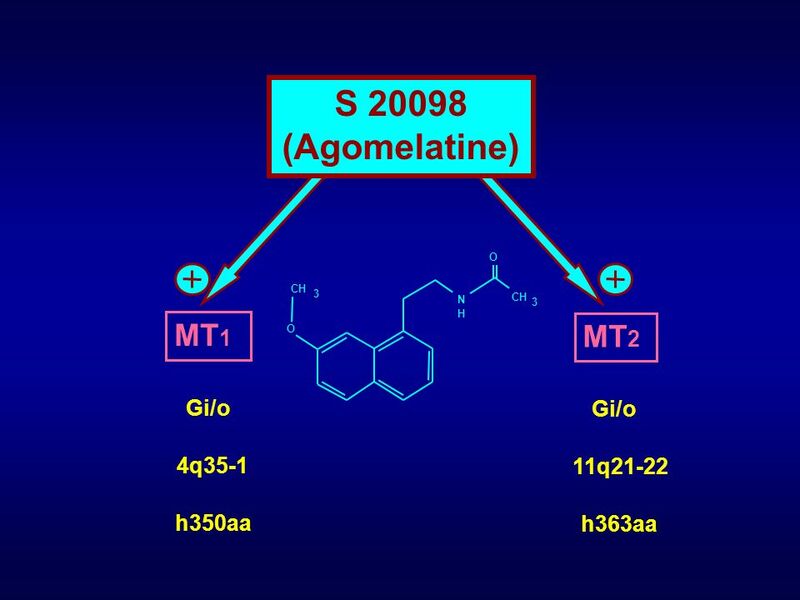 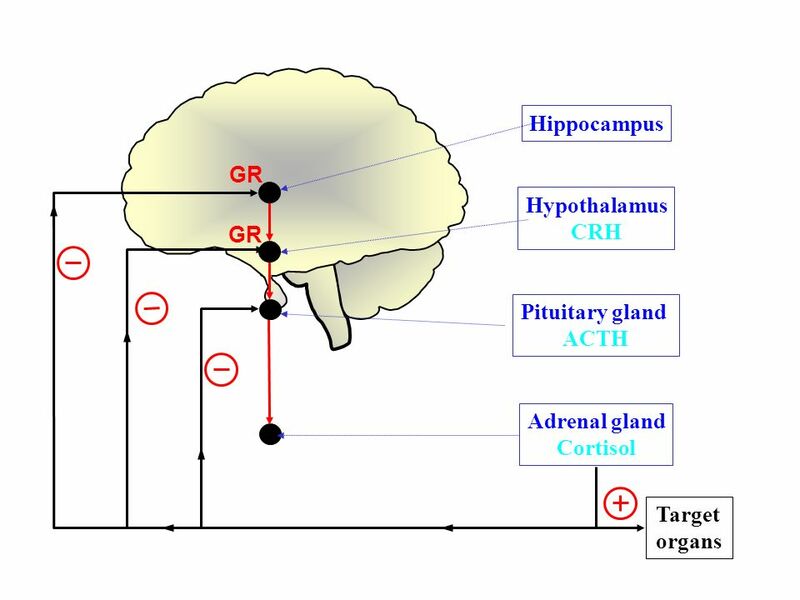 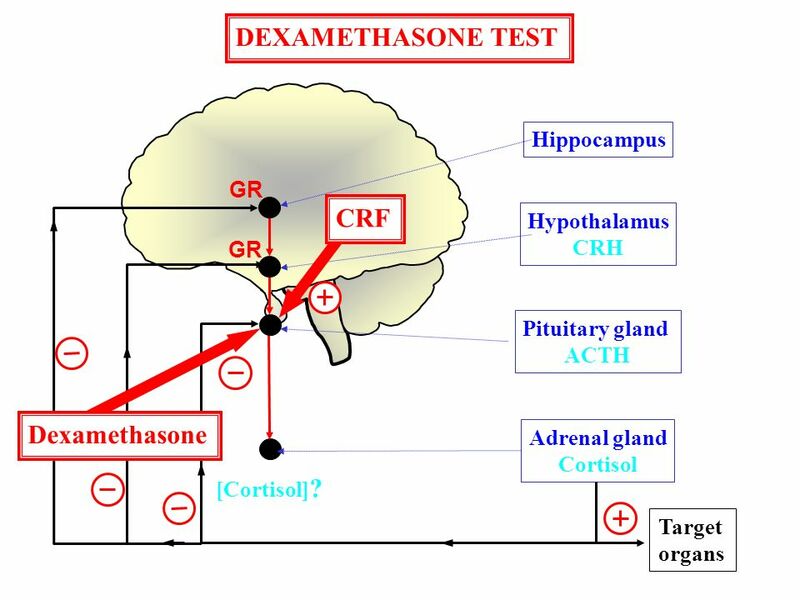 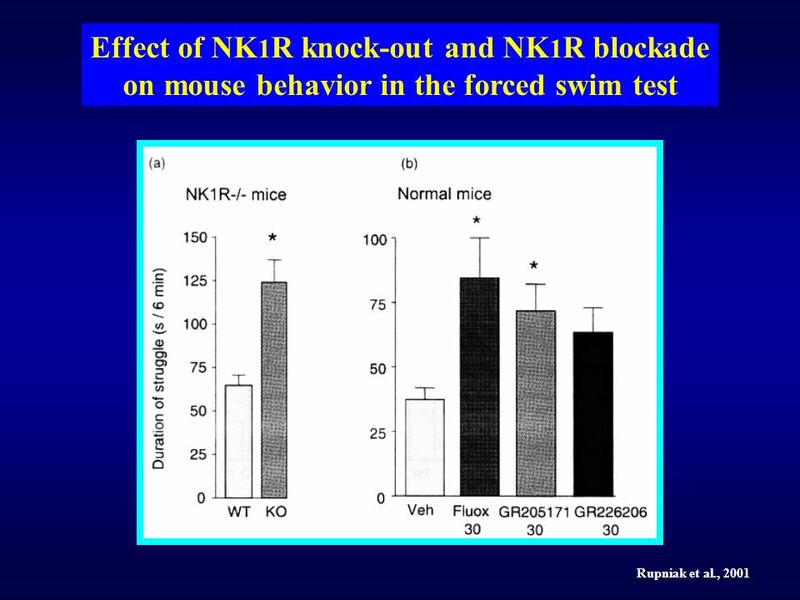 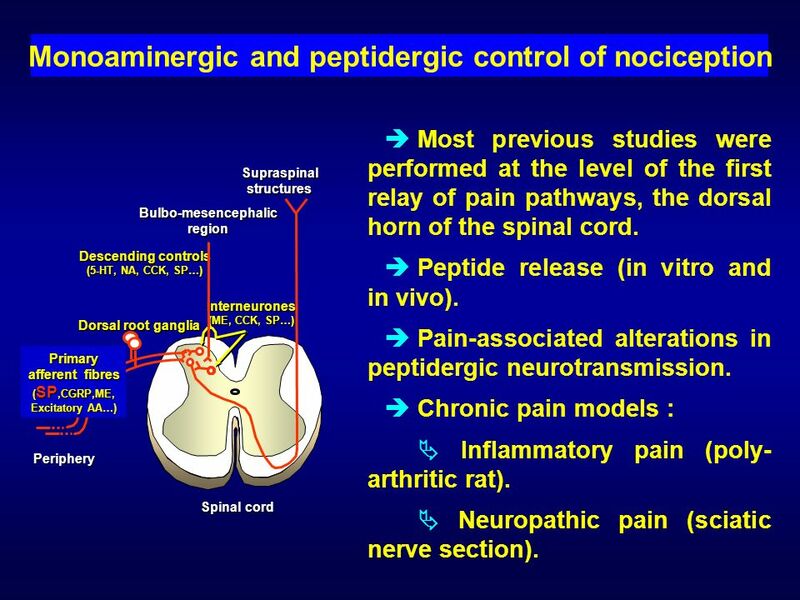 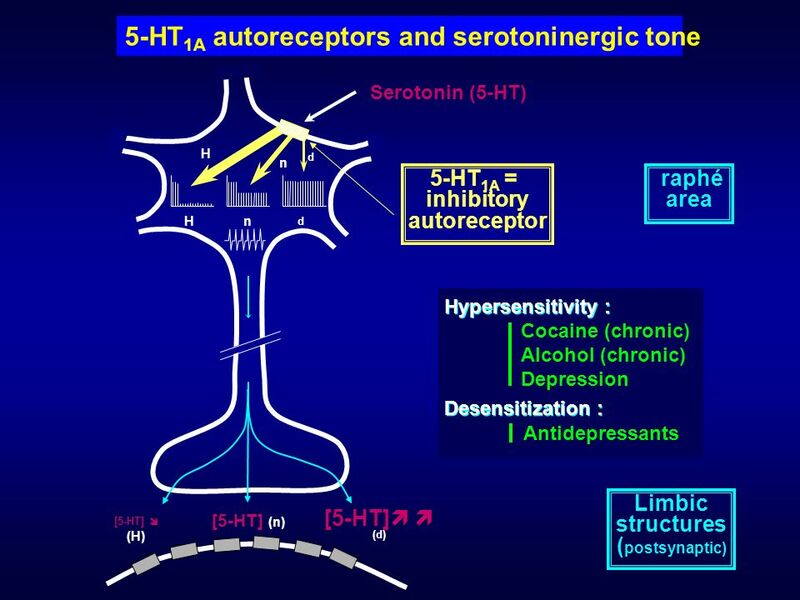 Blunted neuroendocrine and temperature responses to 5-HT agonists. 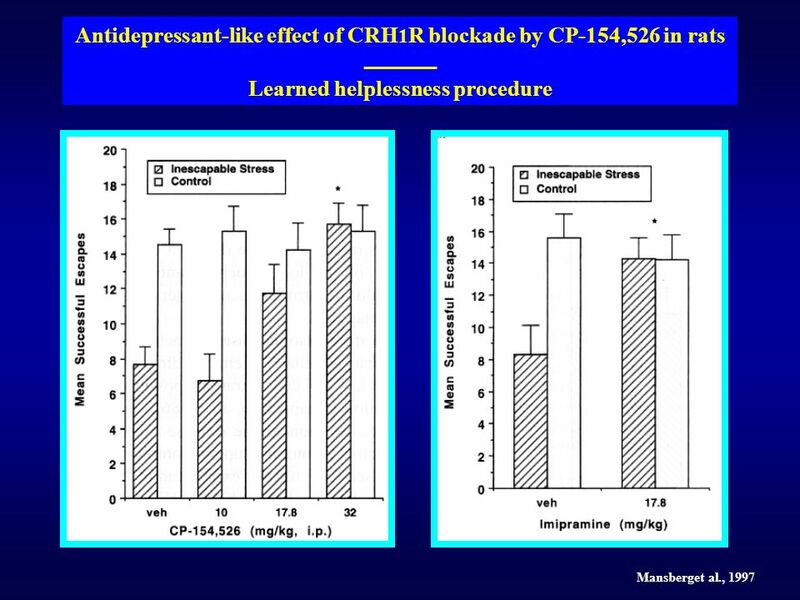 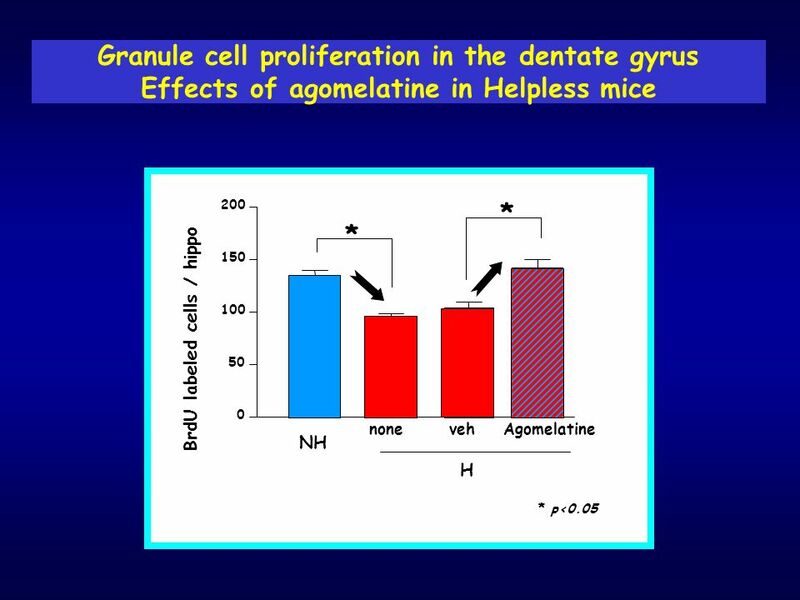 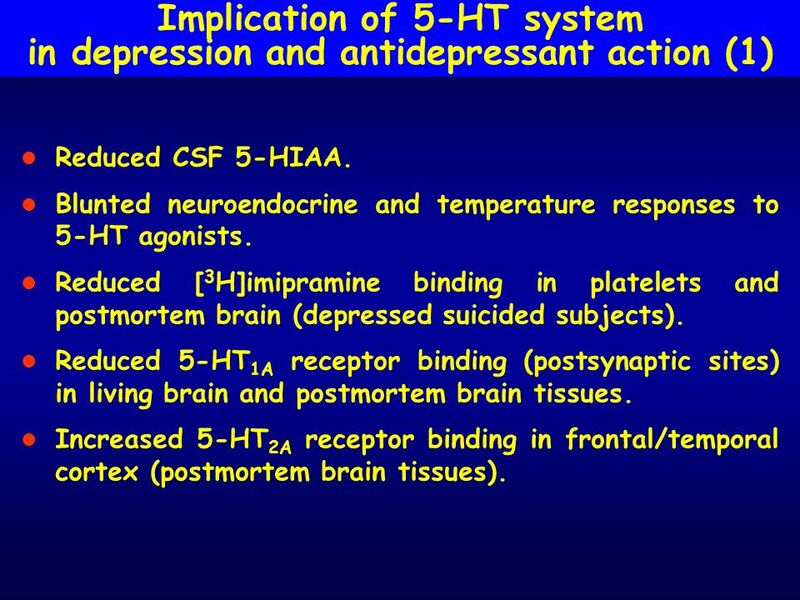 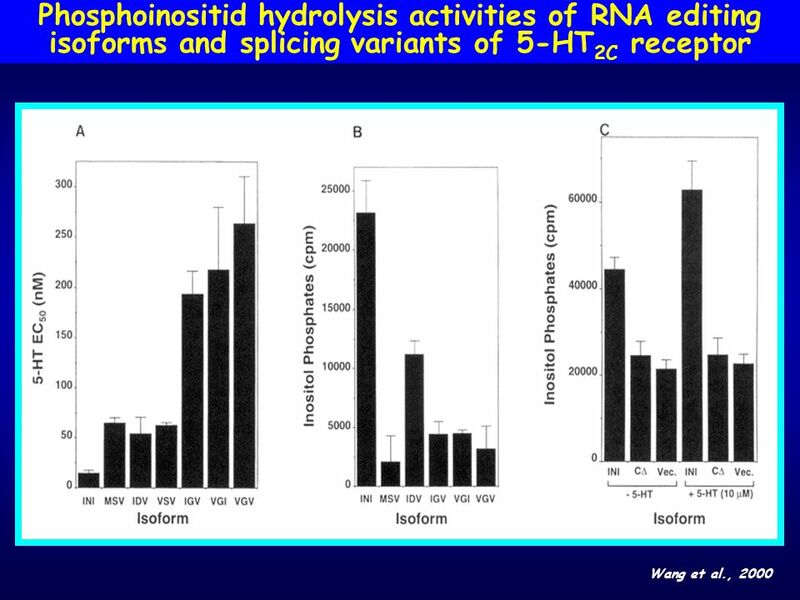 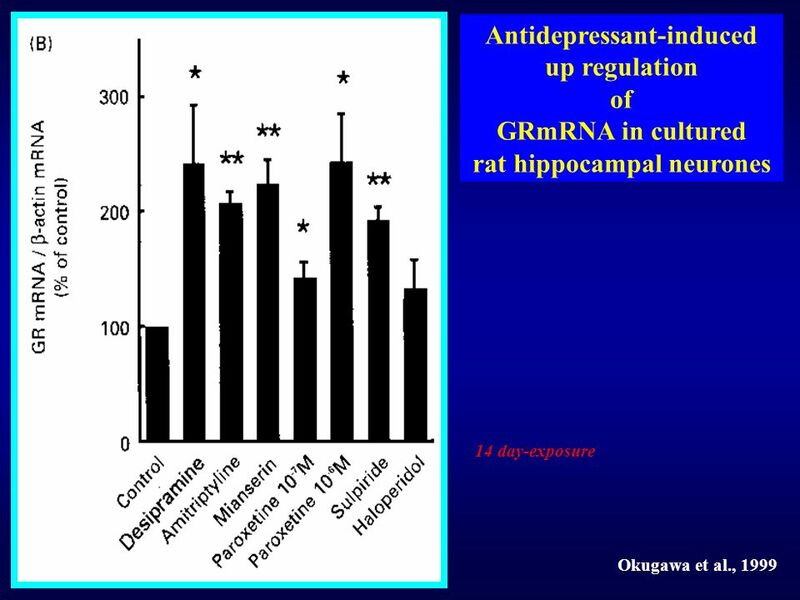 Reduced [3H]imipramine binding in platelets and postmortem brain (depressed suicided subjects). 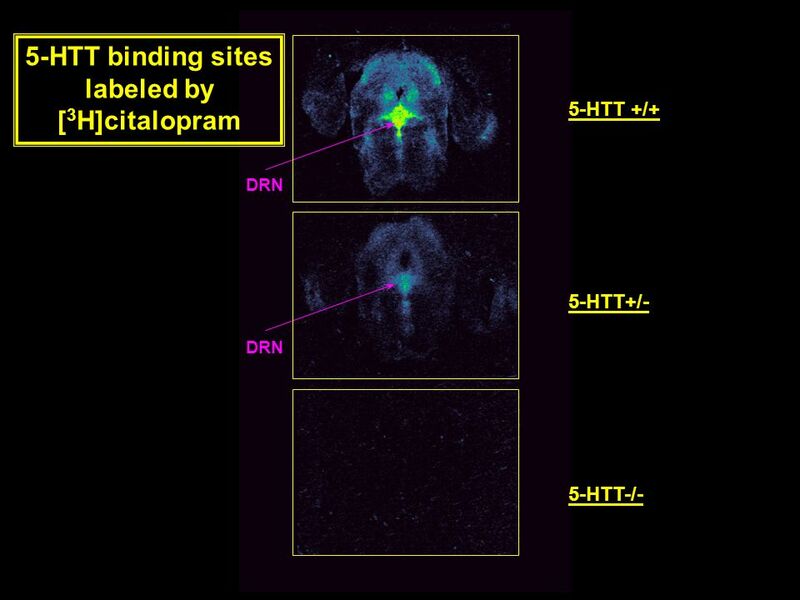 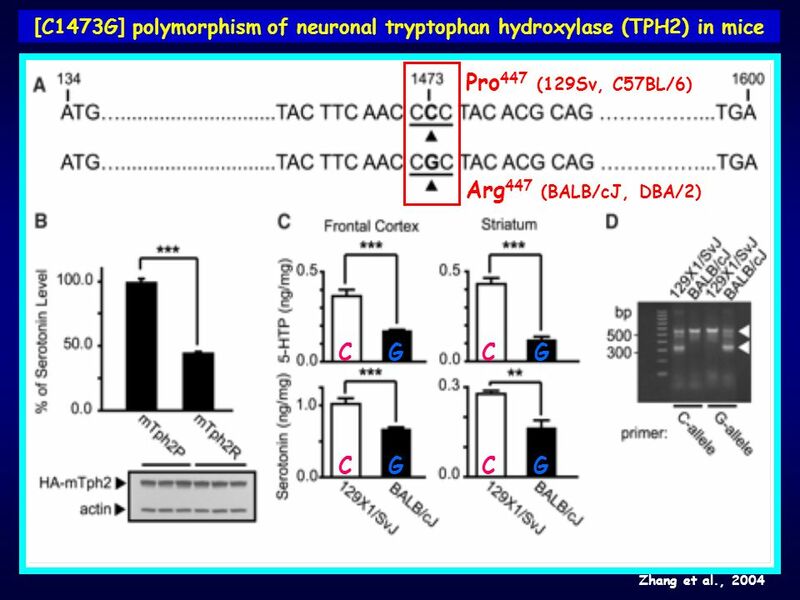 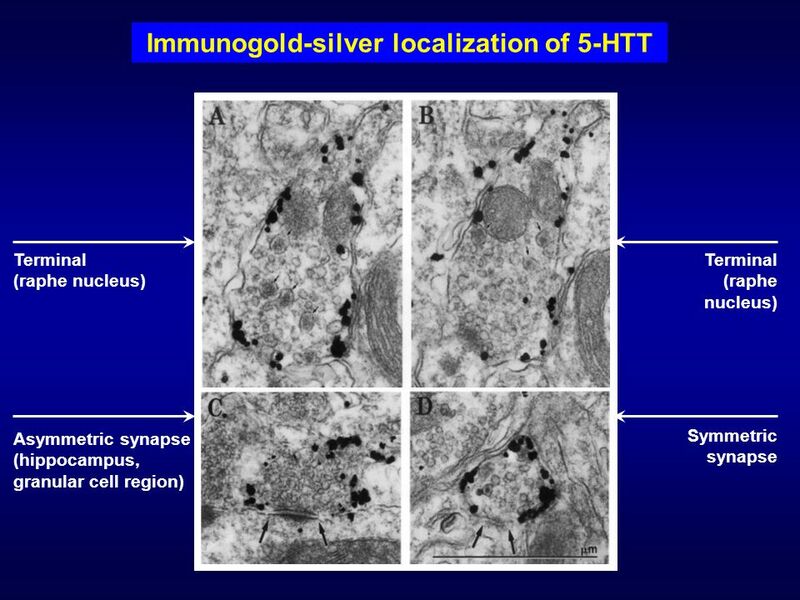 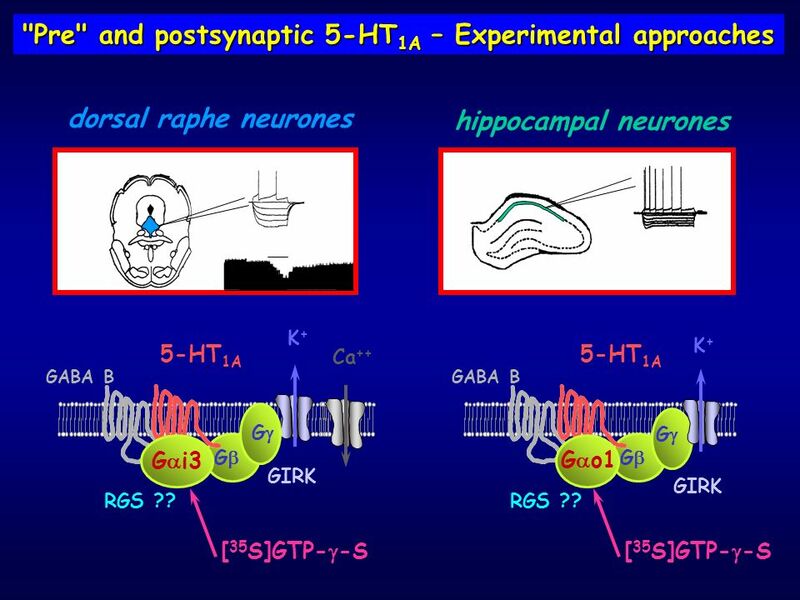 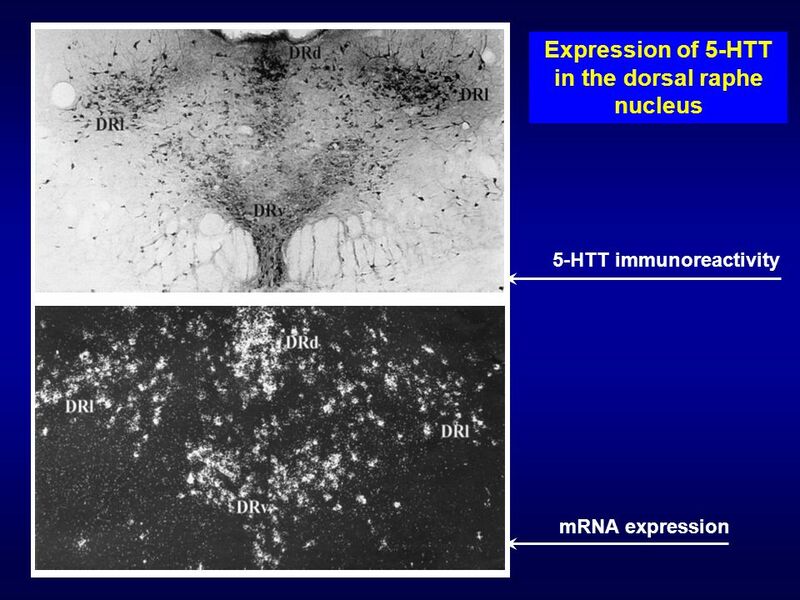 Reduced 5-HT1A receptor binding (postsynaptic sites) in living brain and postmortem brain tissues. 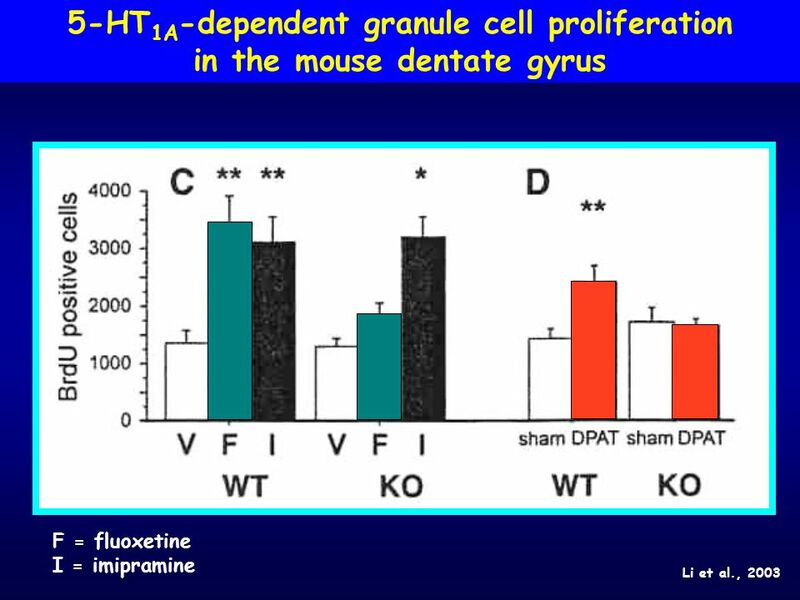 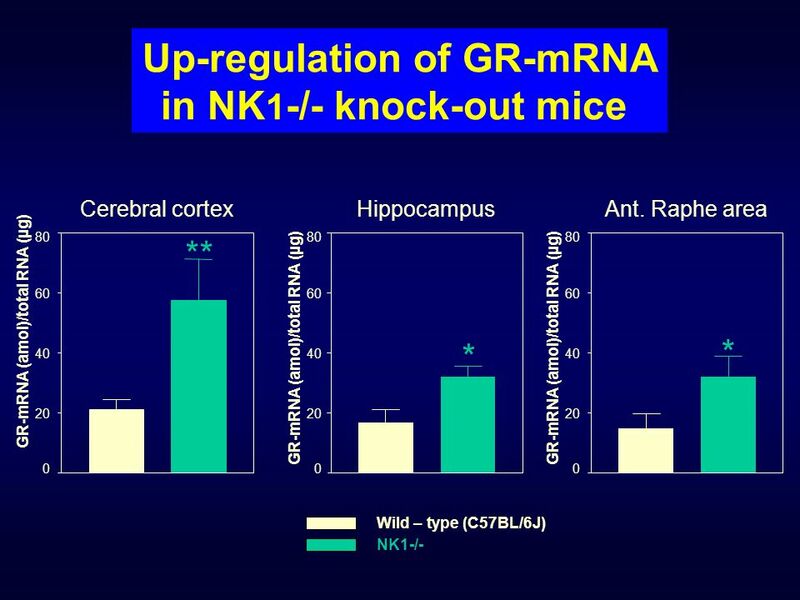 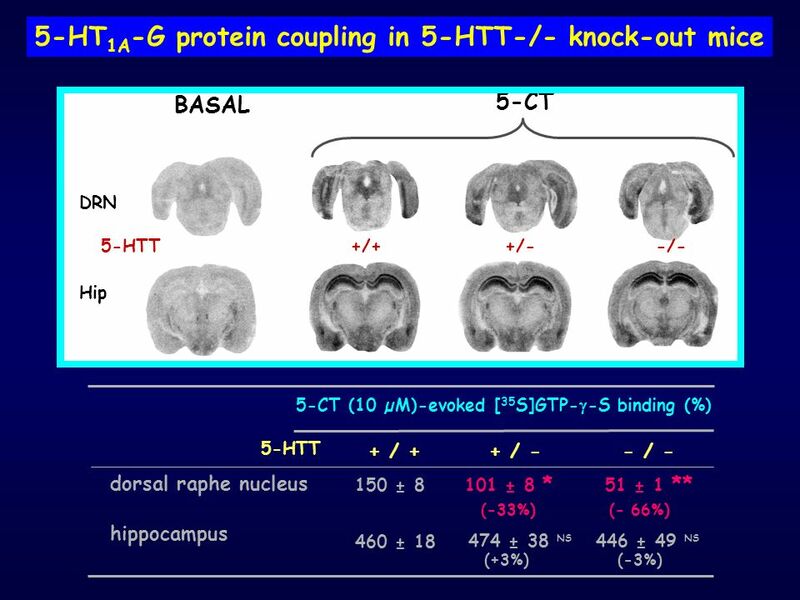 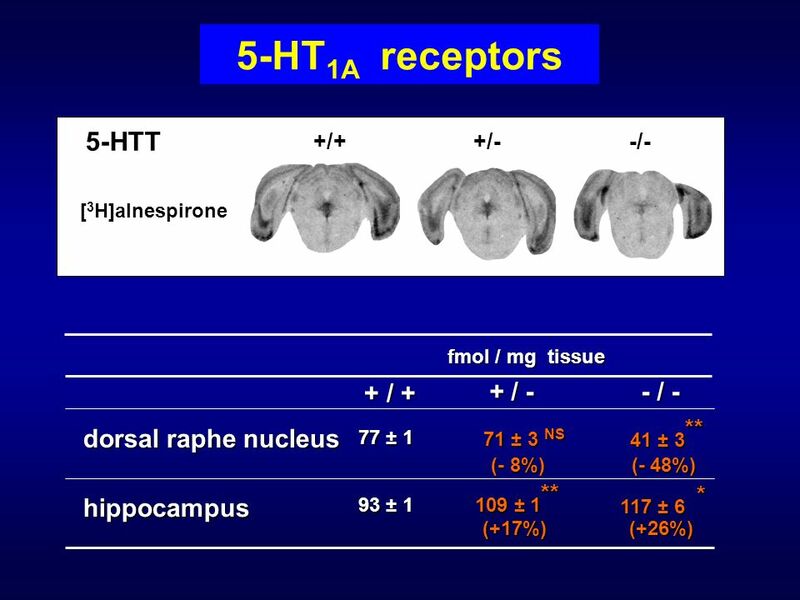 Increased 5-HT2A receptor binding in frontal/temporal cortex (postmortem brain tissues). 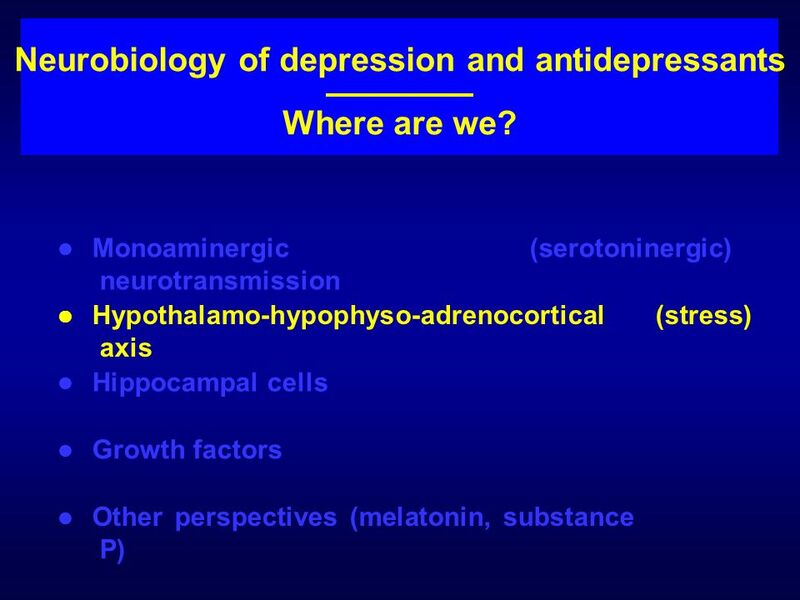 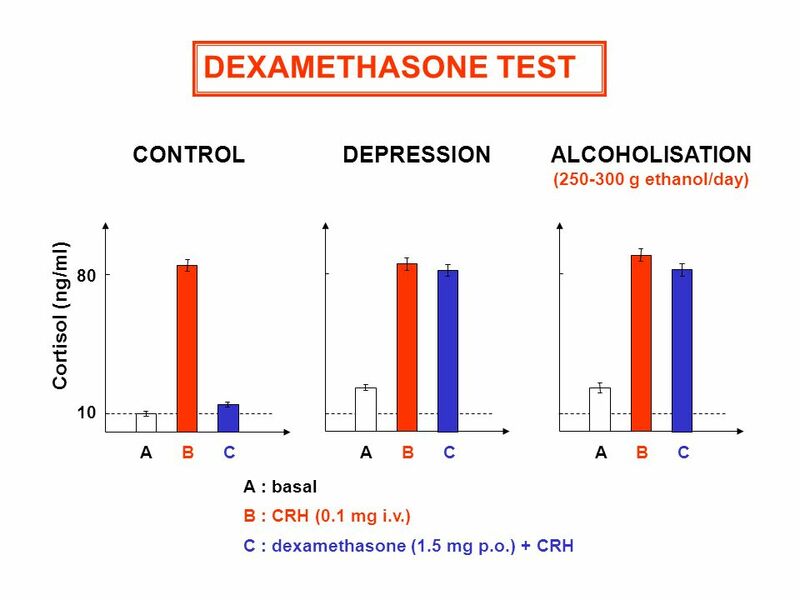 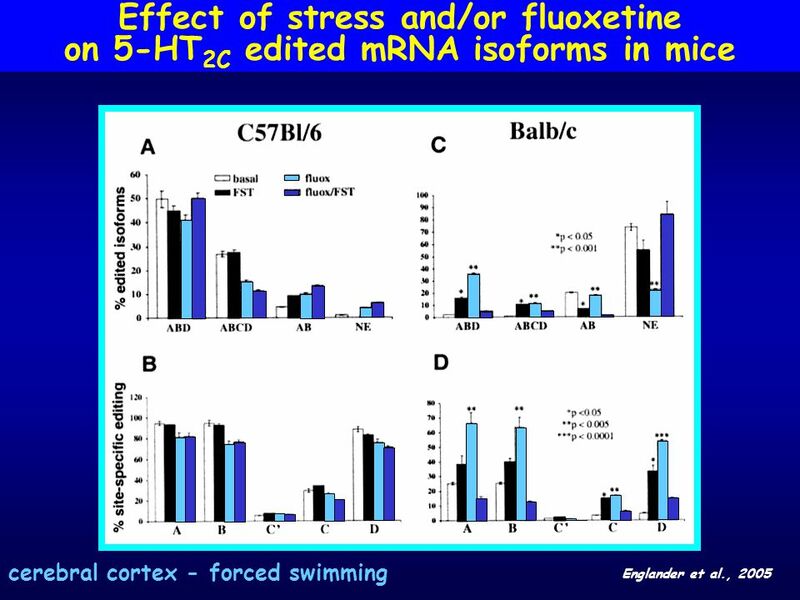 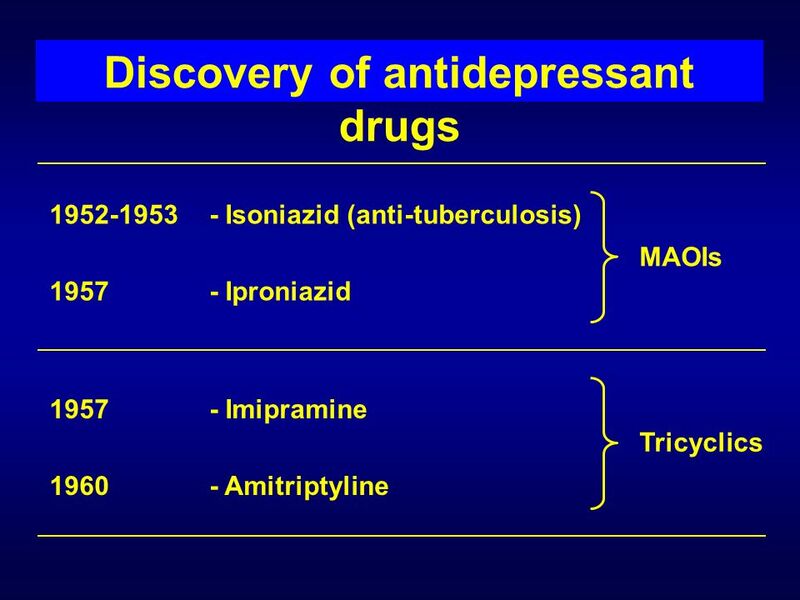 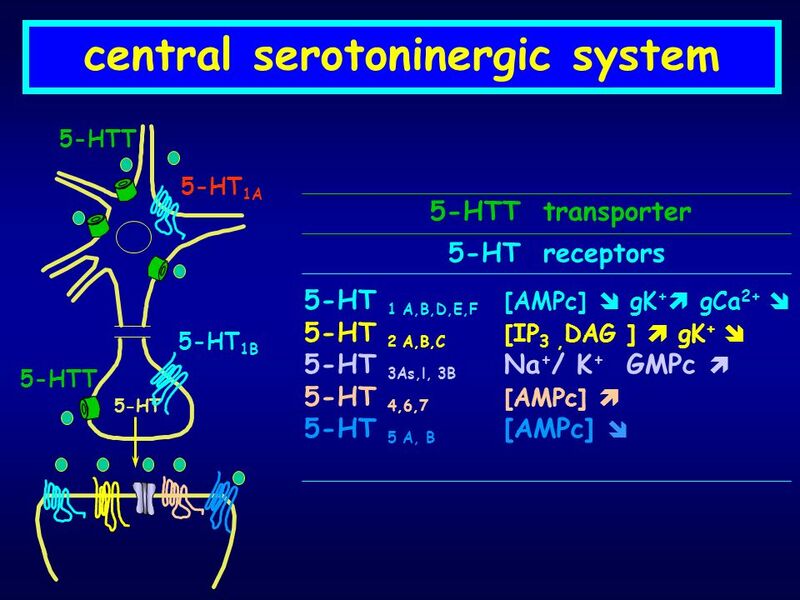 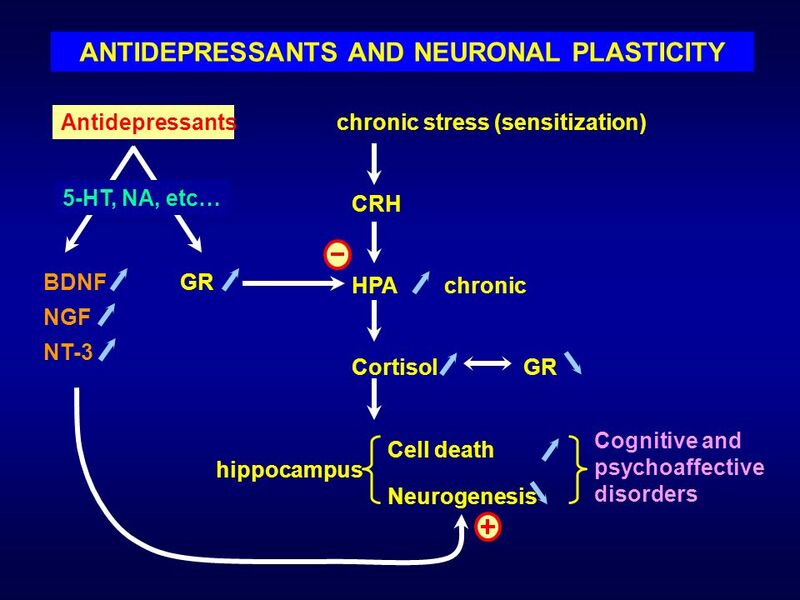 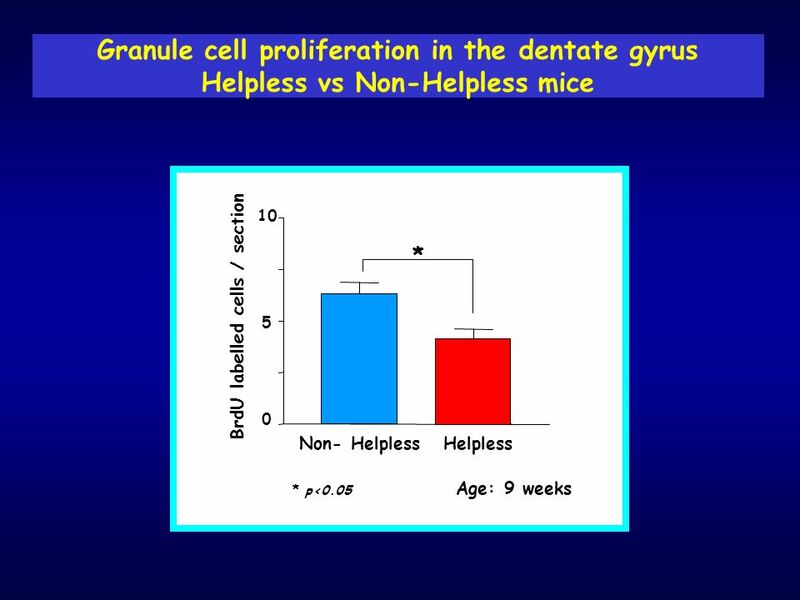 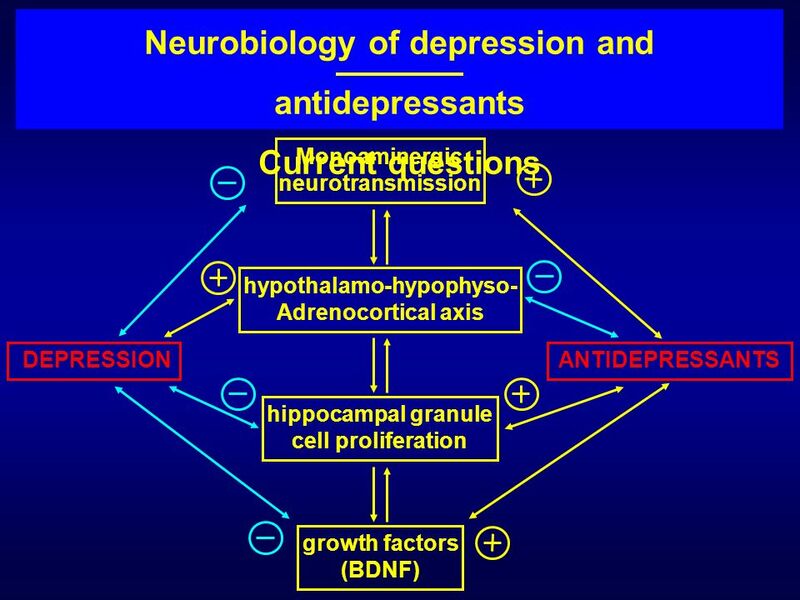 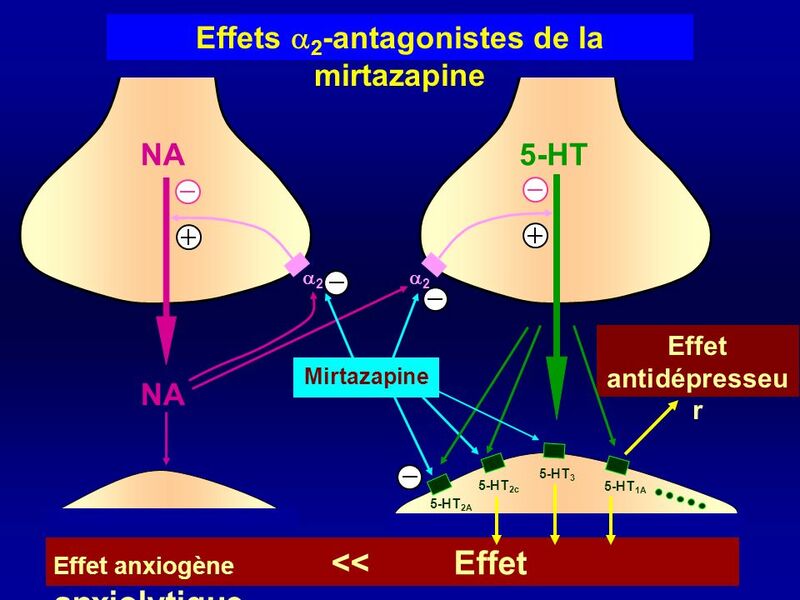 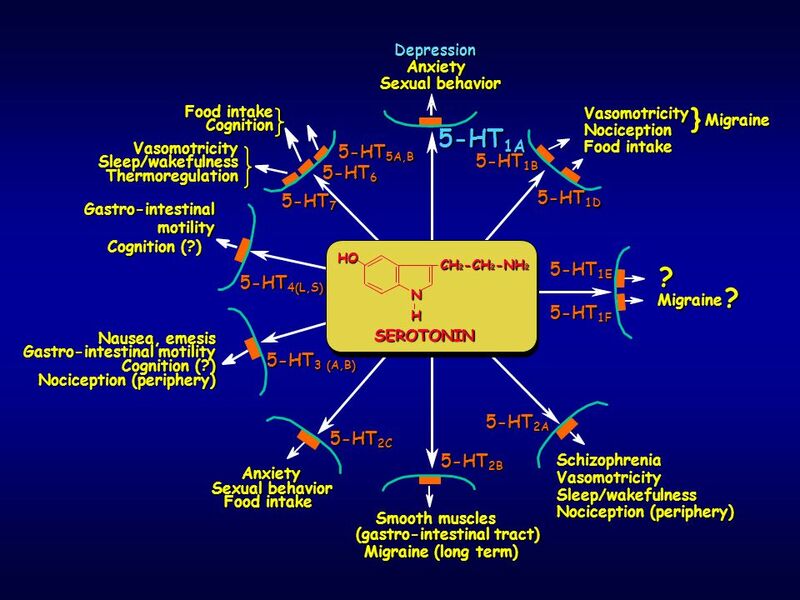 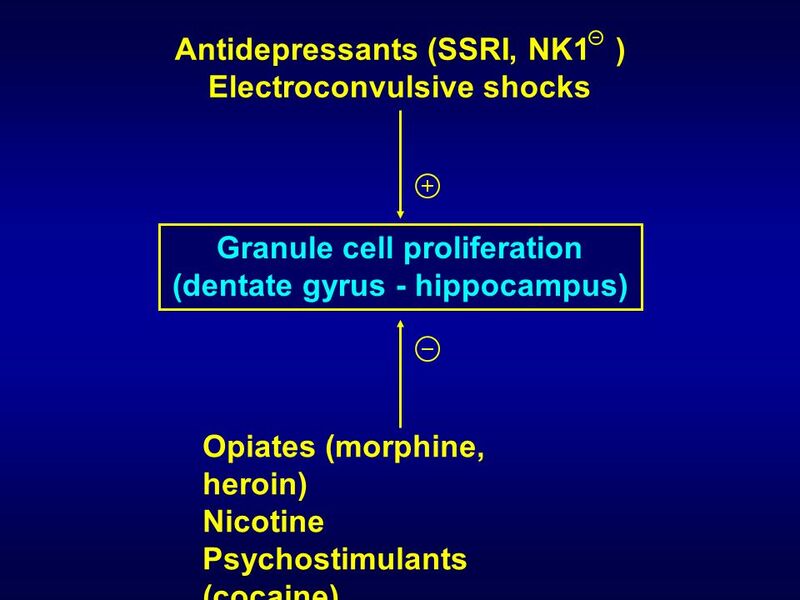 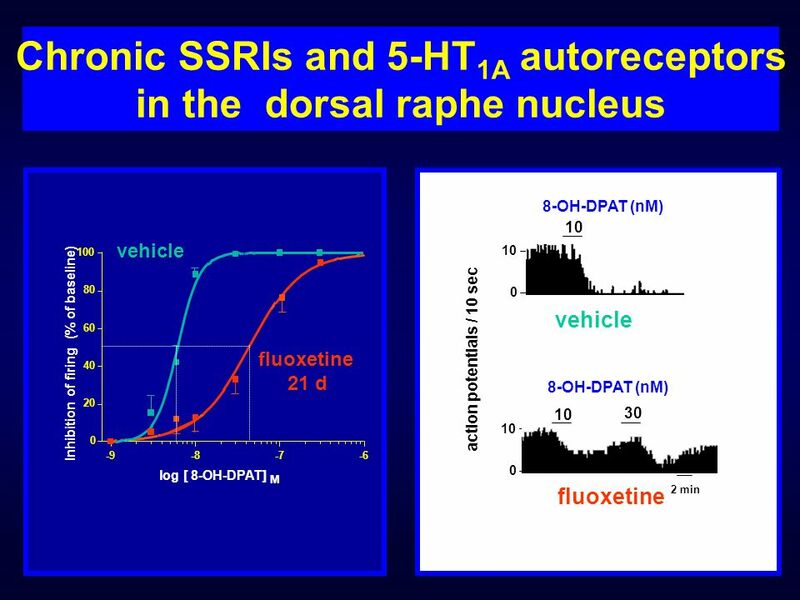 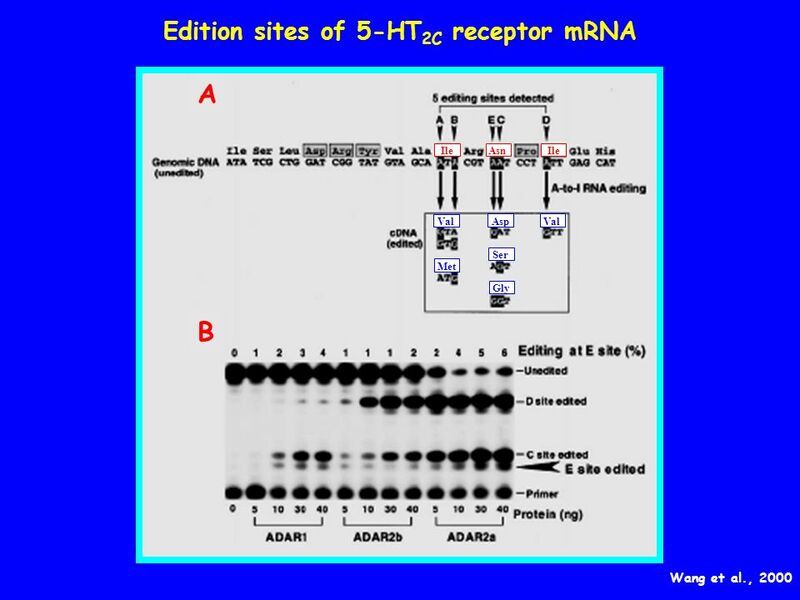 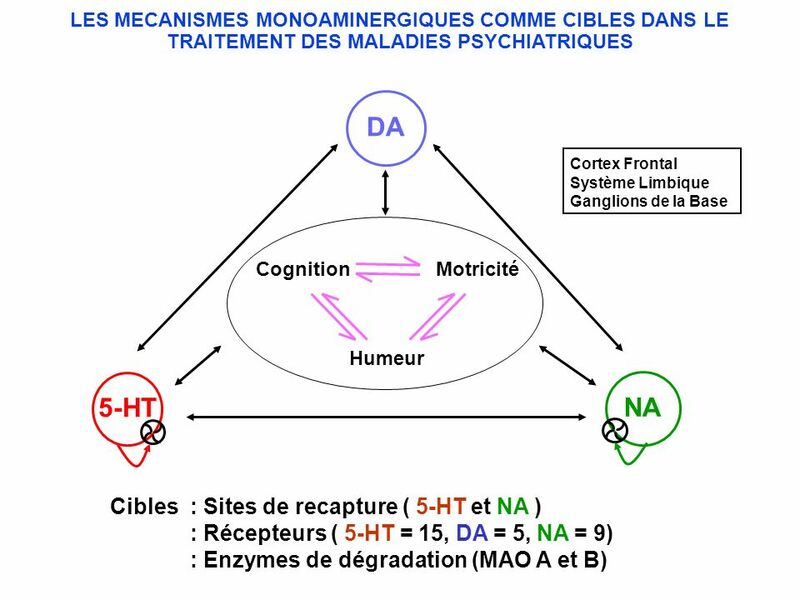 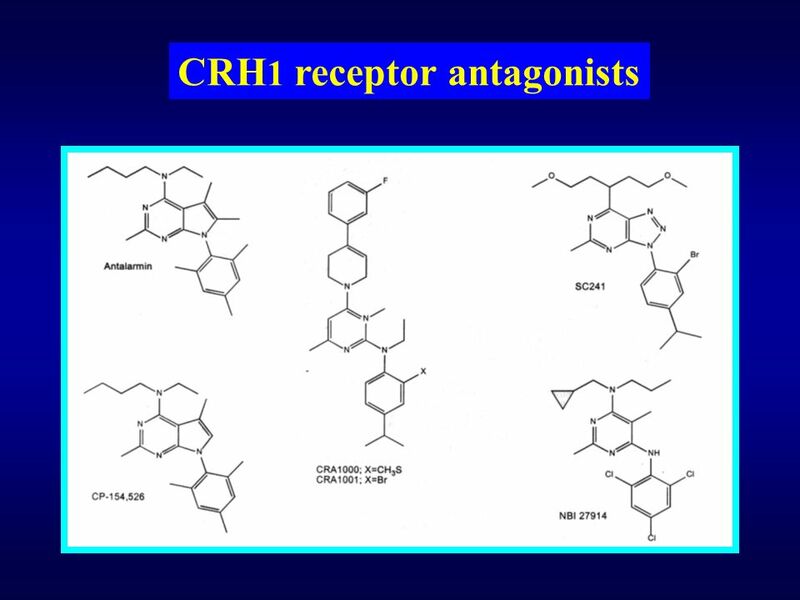 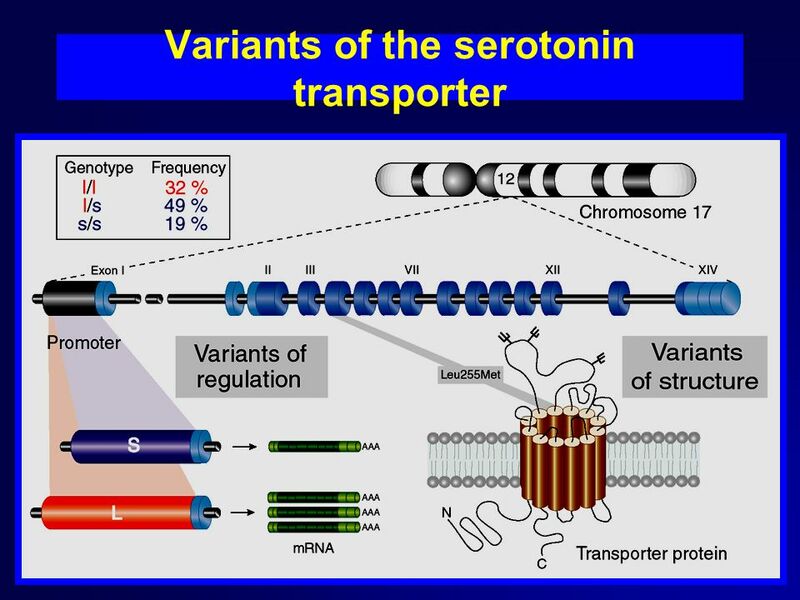 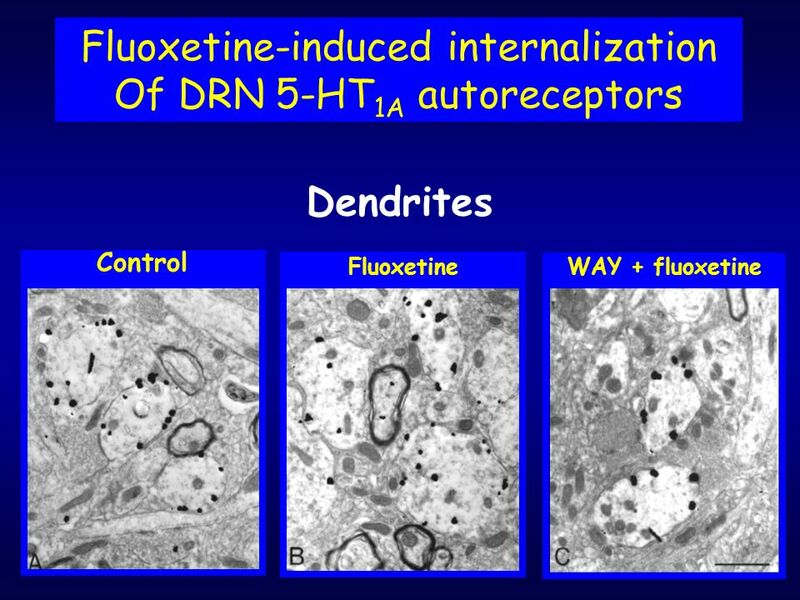 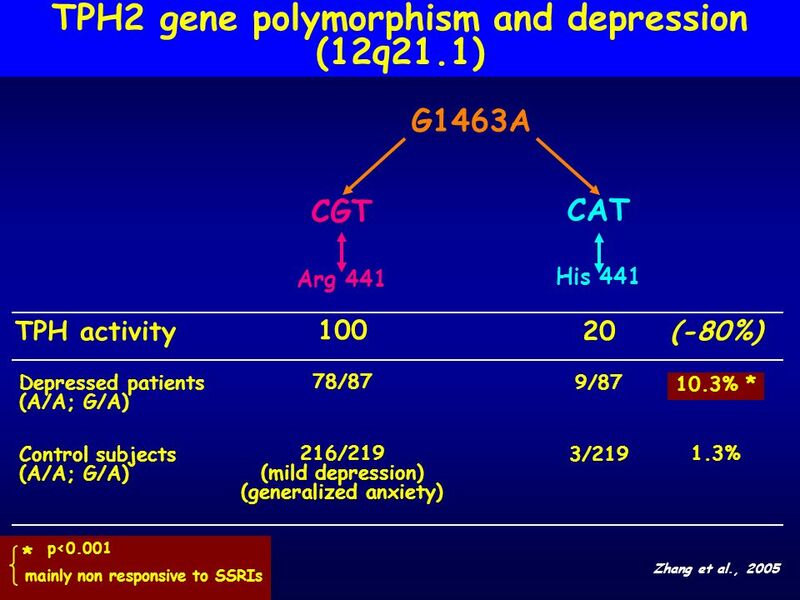 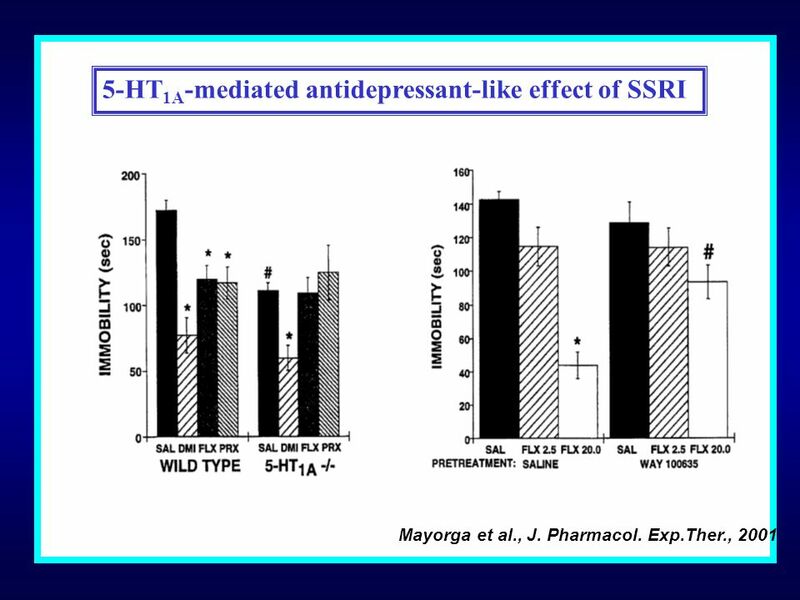 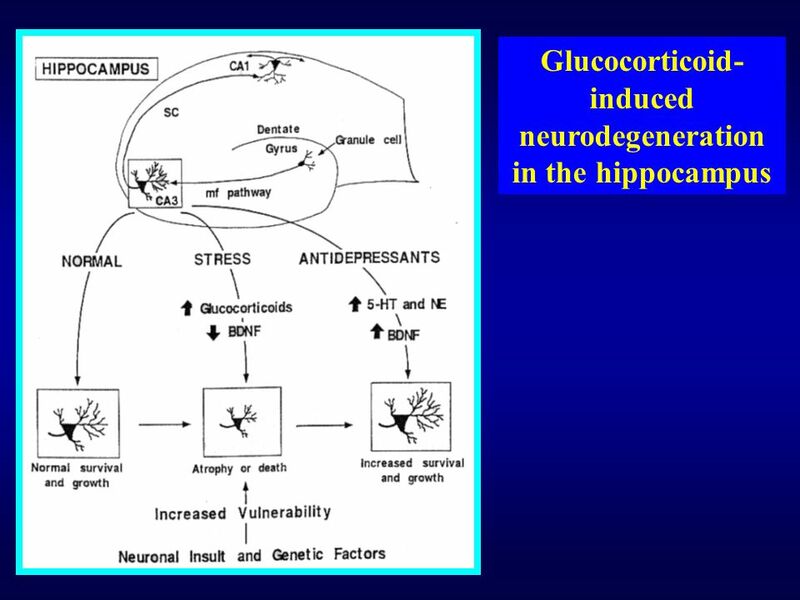 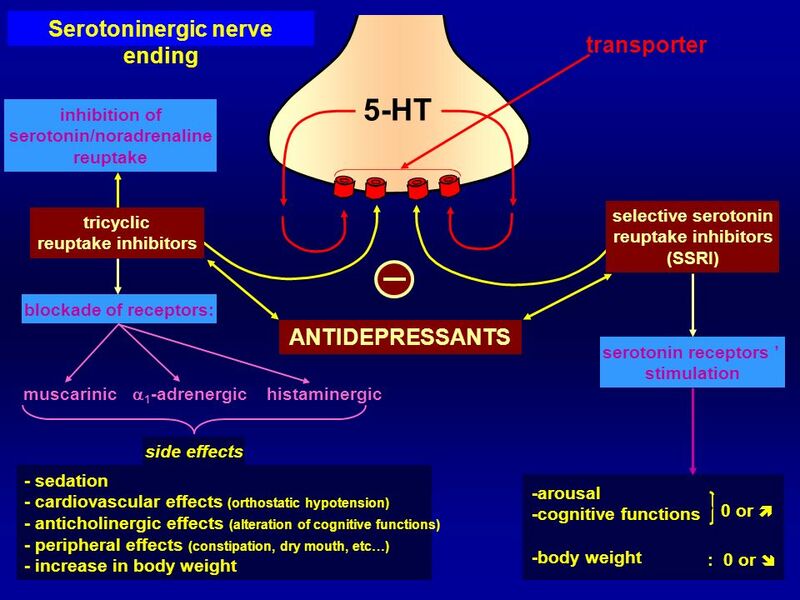 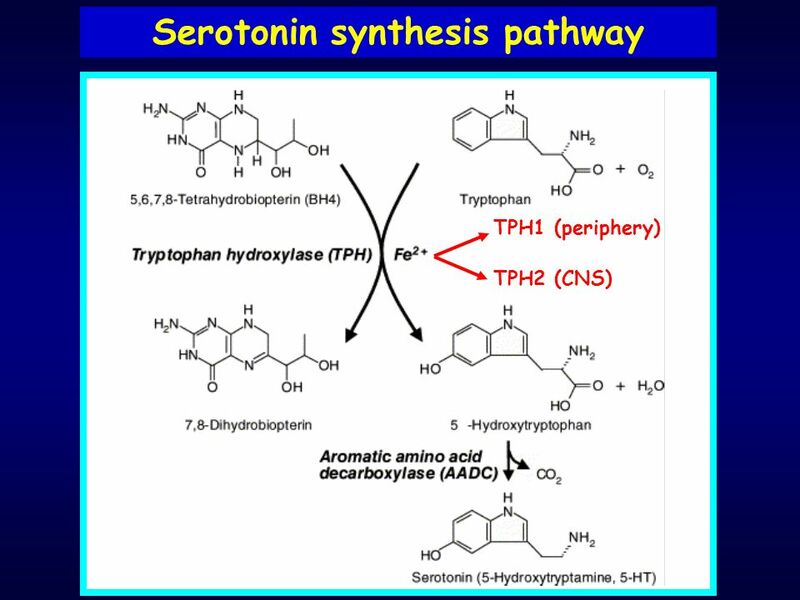 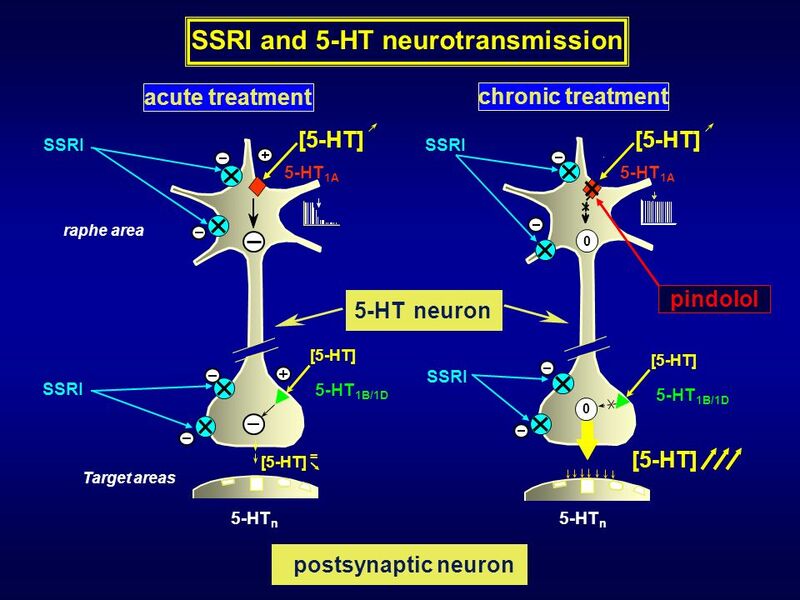 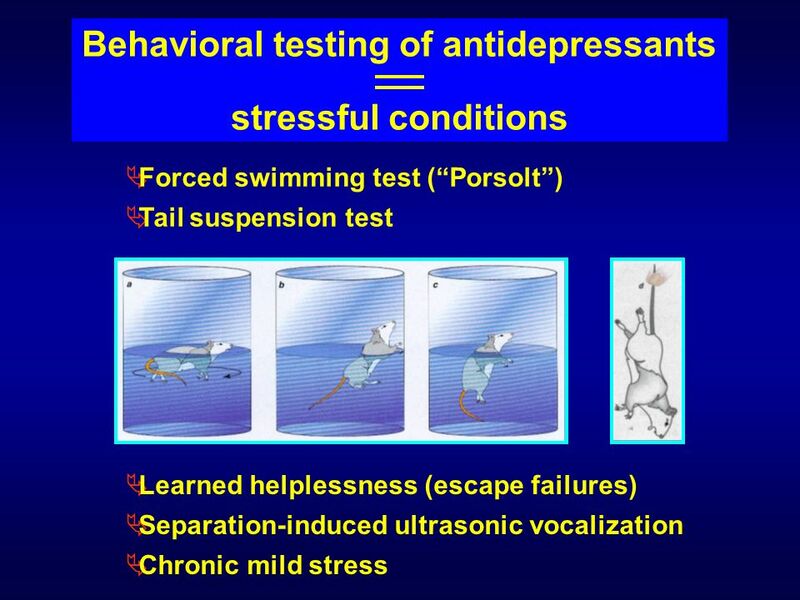 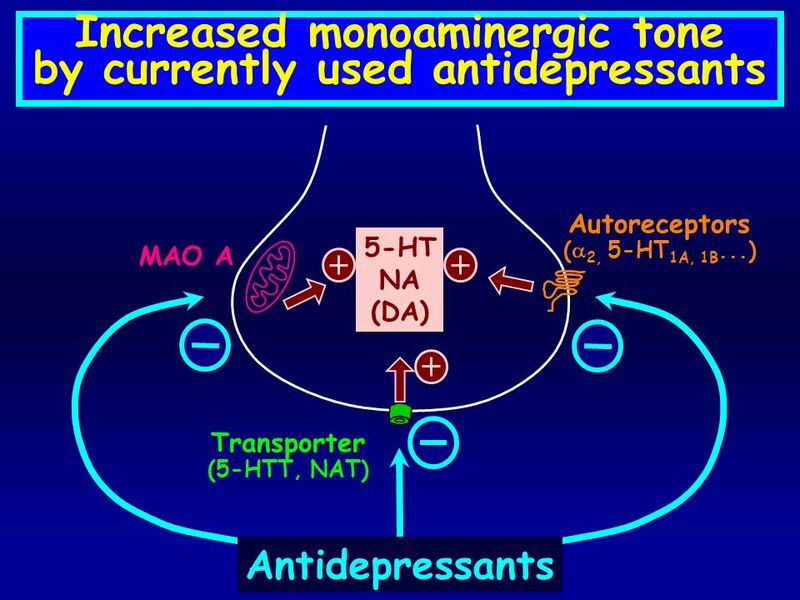 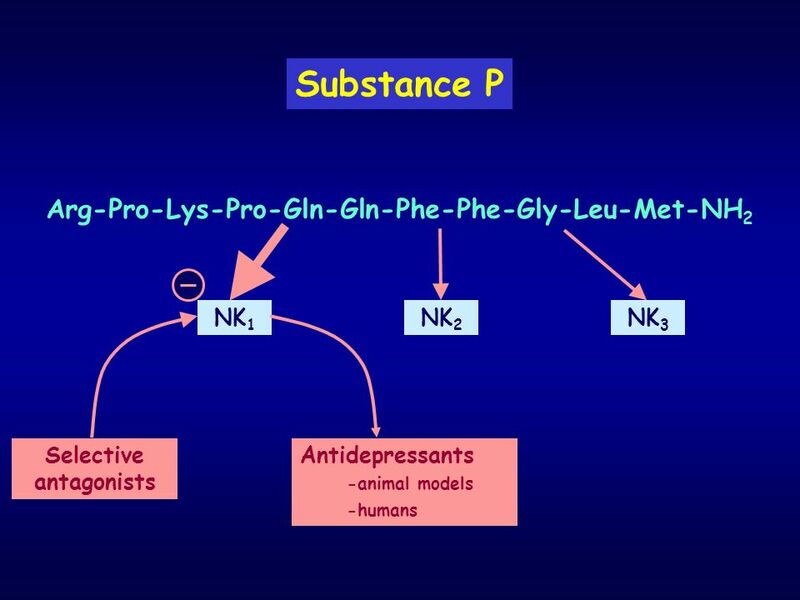 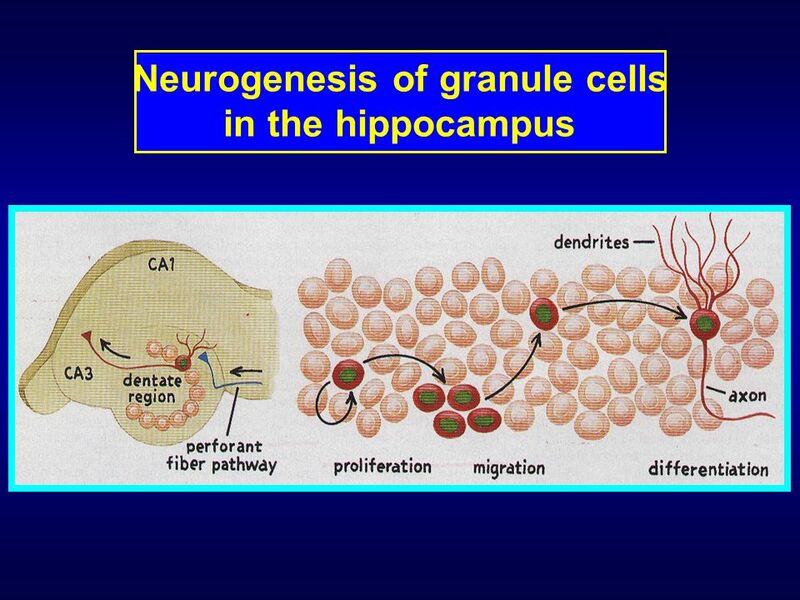 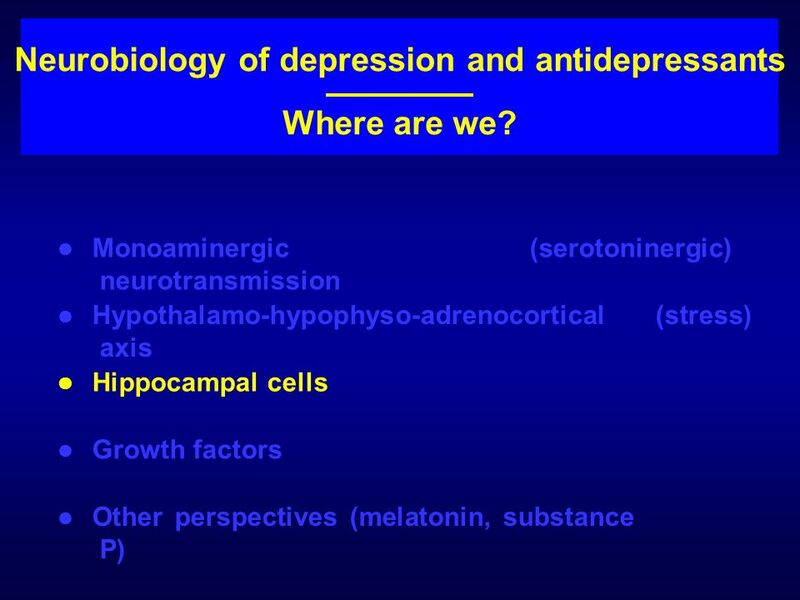 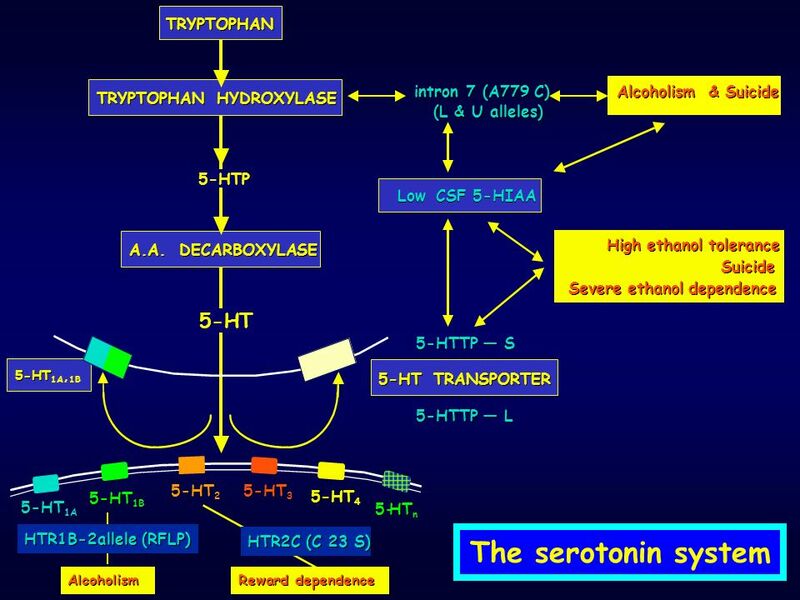 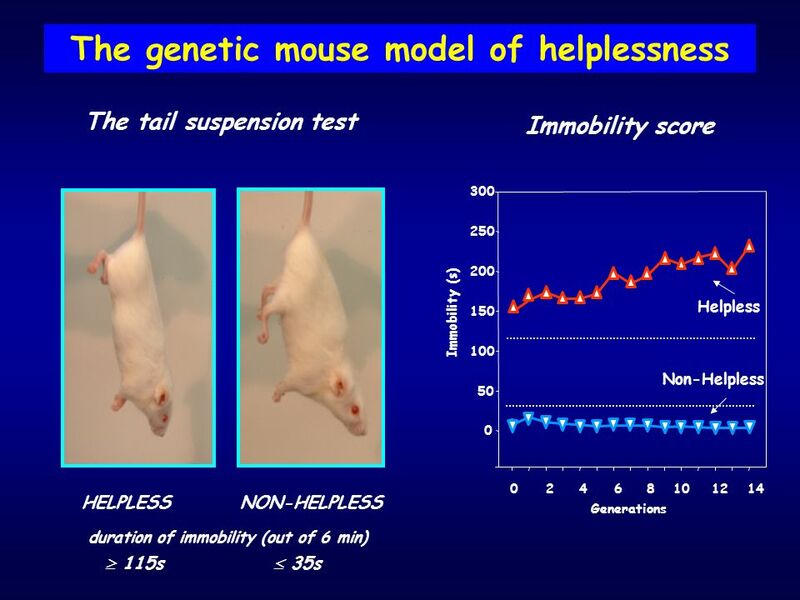 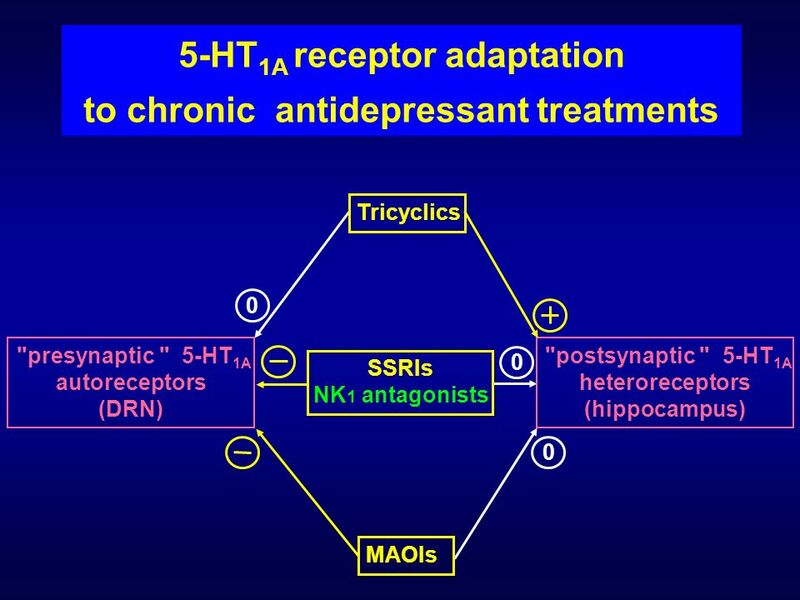 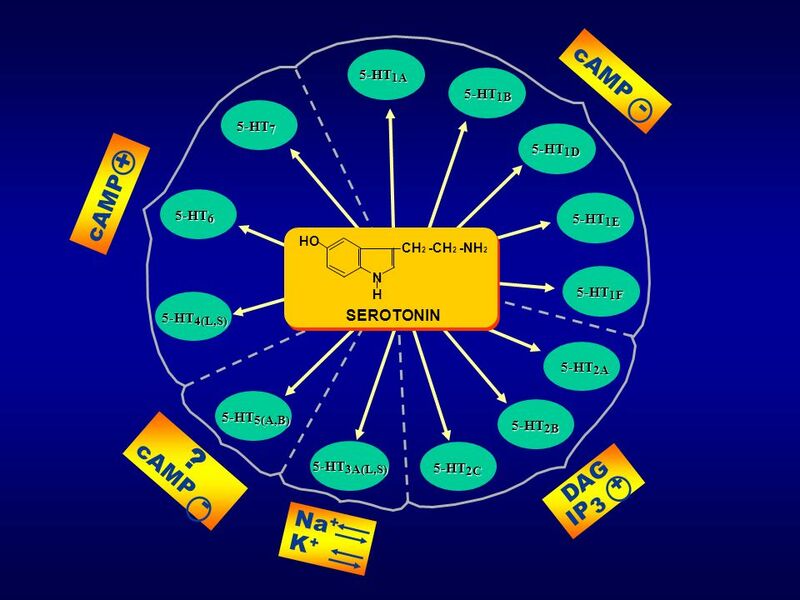 Antidepressant efficacy of agents which increase extracellular 5–HT (SSRIs). 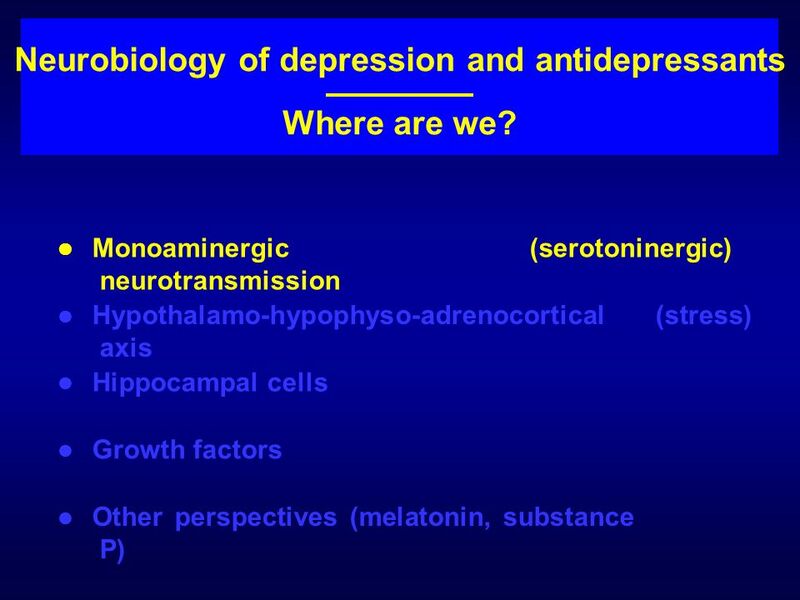 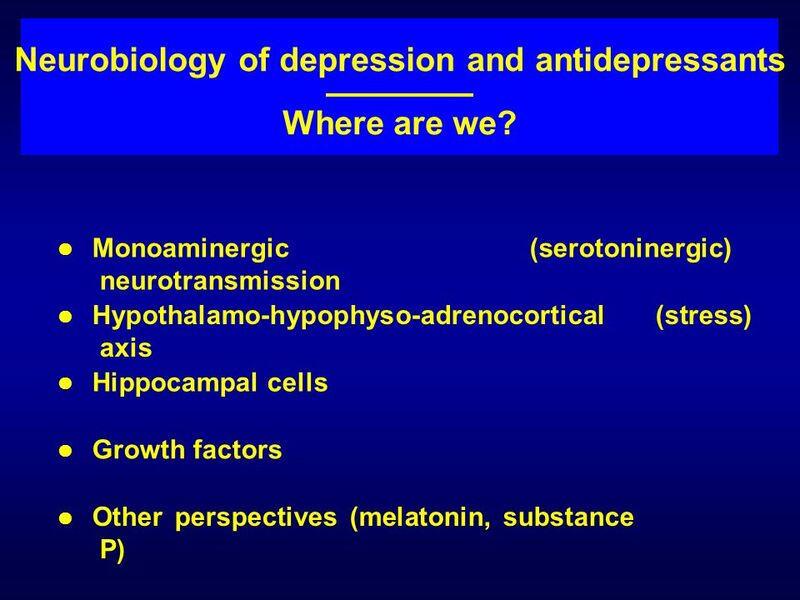 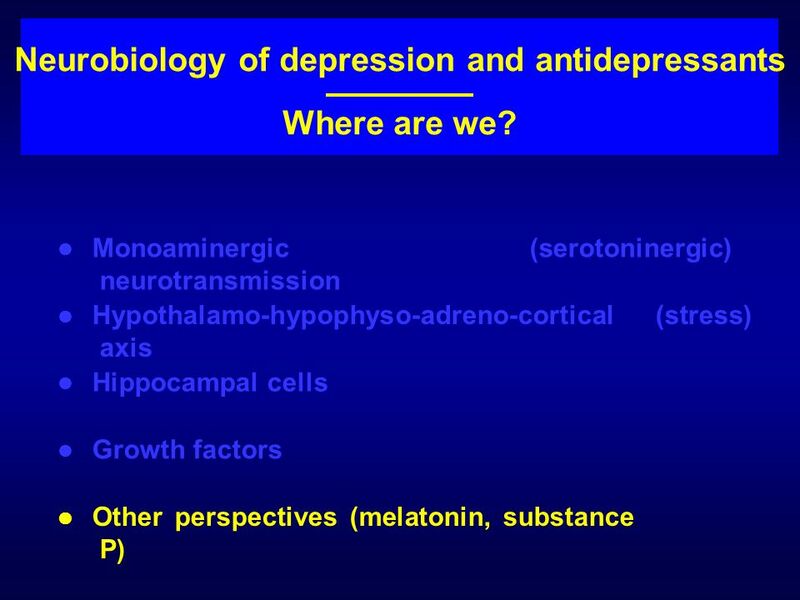 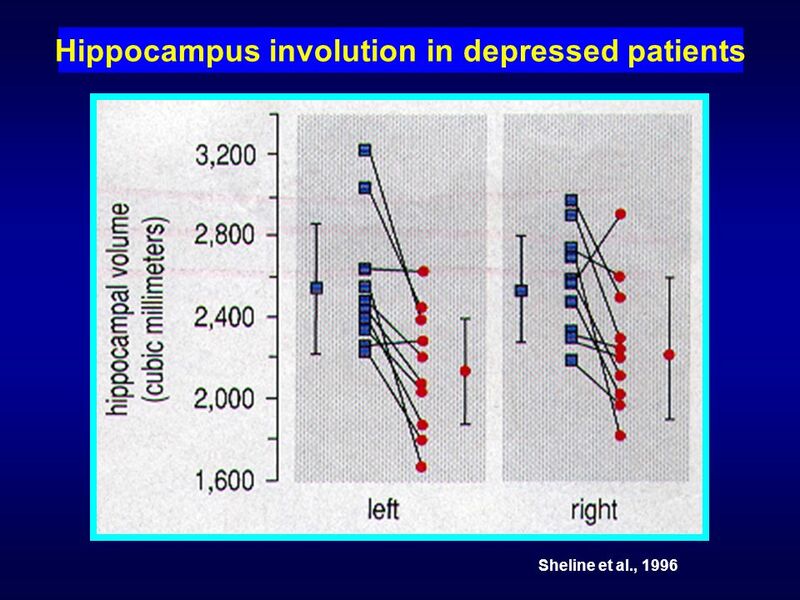 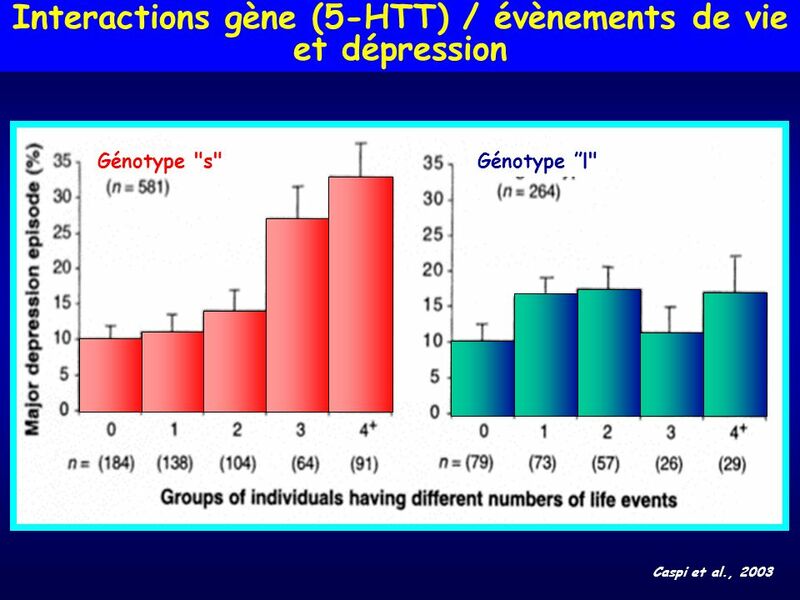 Depressogenic effects of Trp depletion in antidepressant-treated patients. 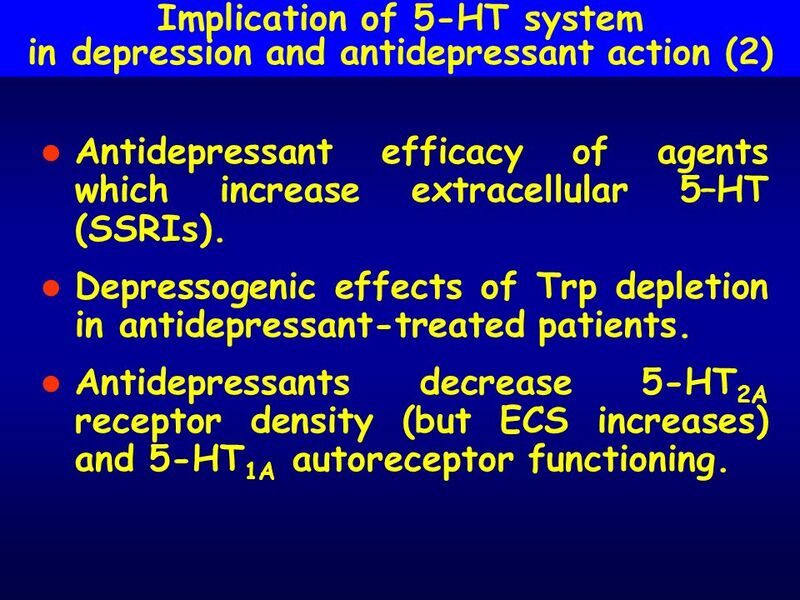 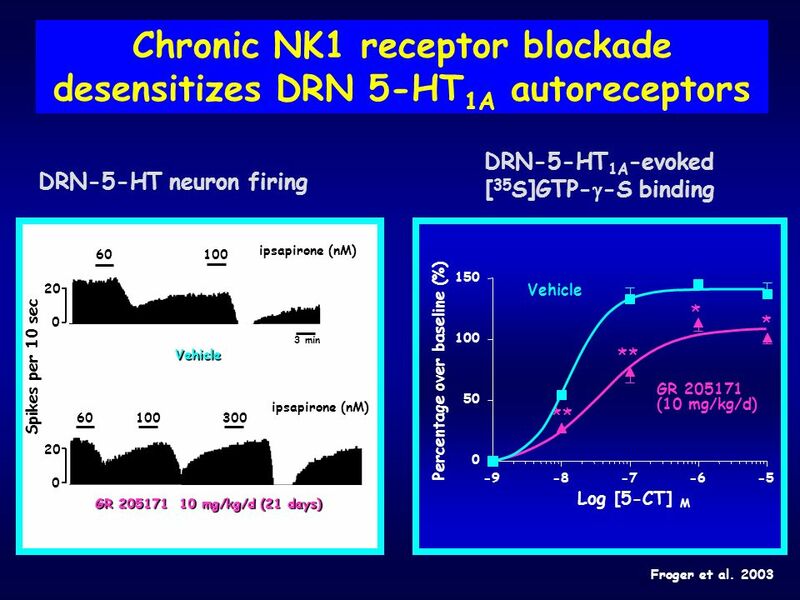 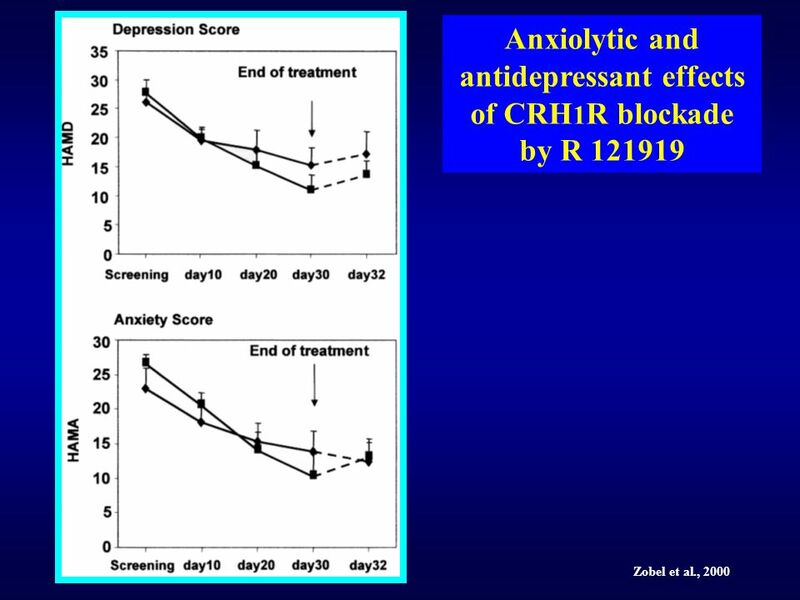 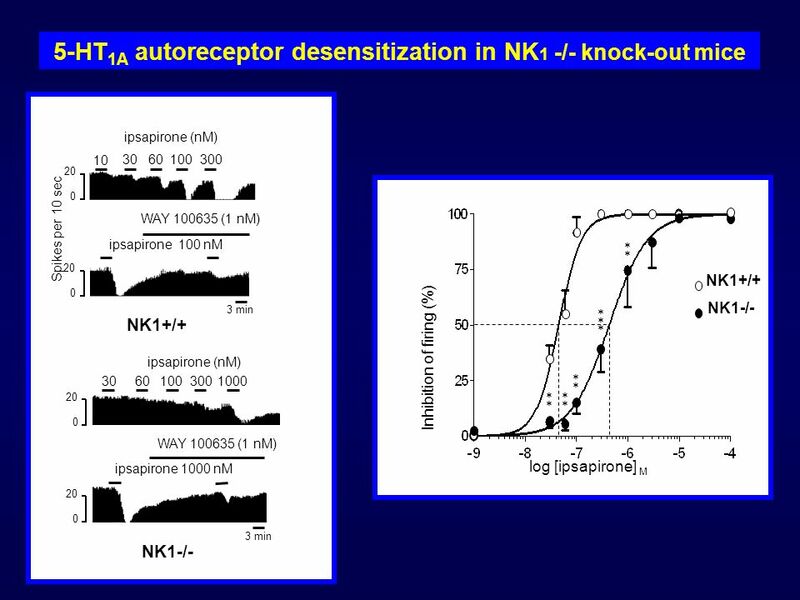 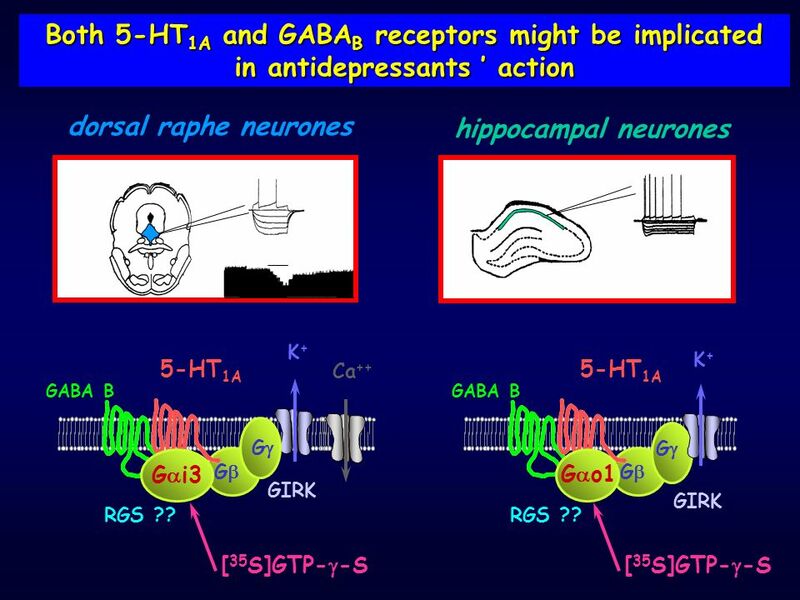 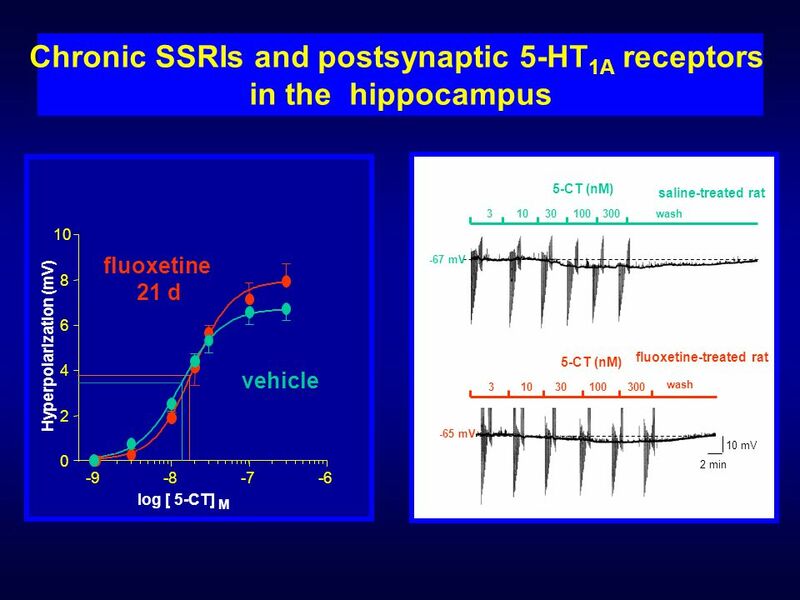 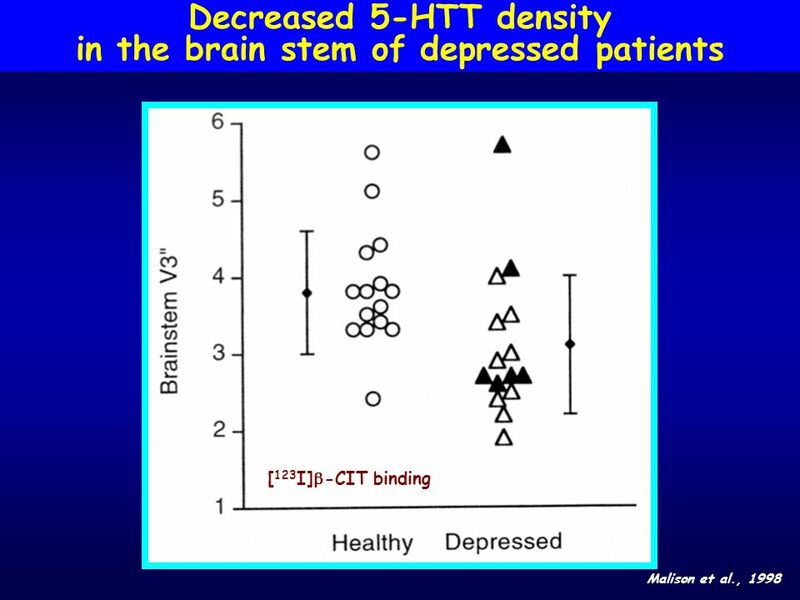 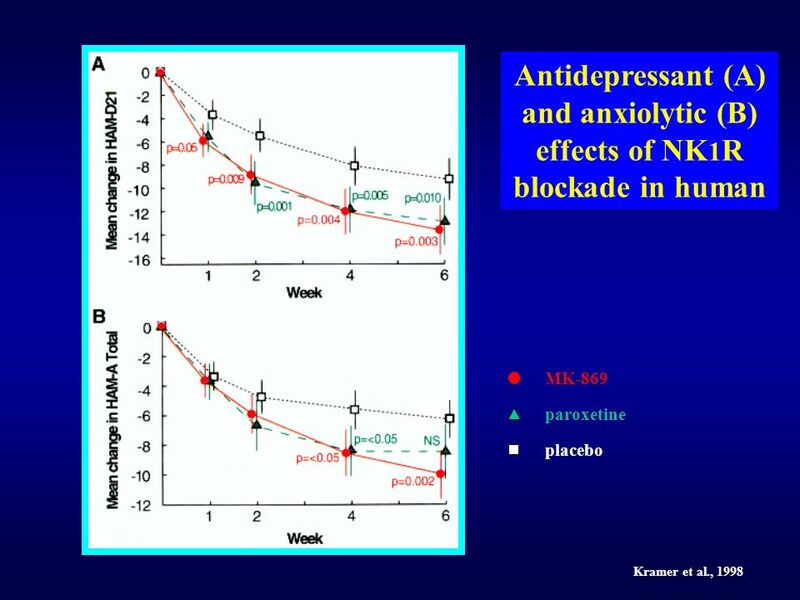 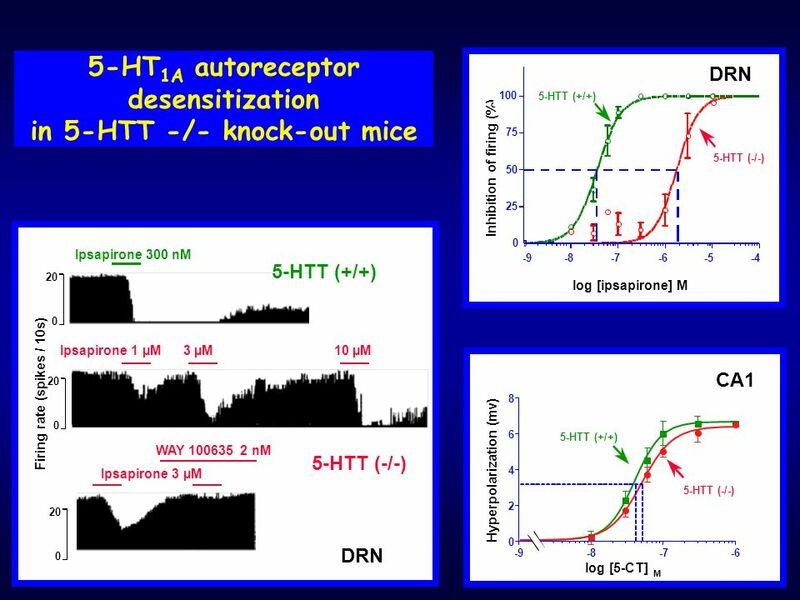 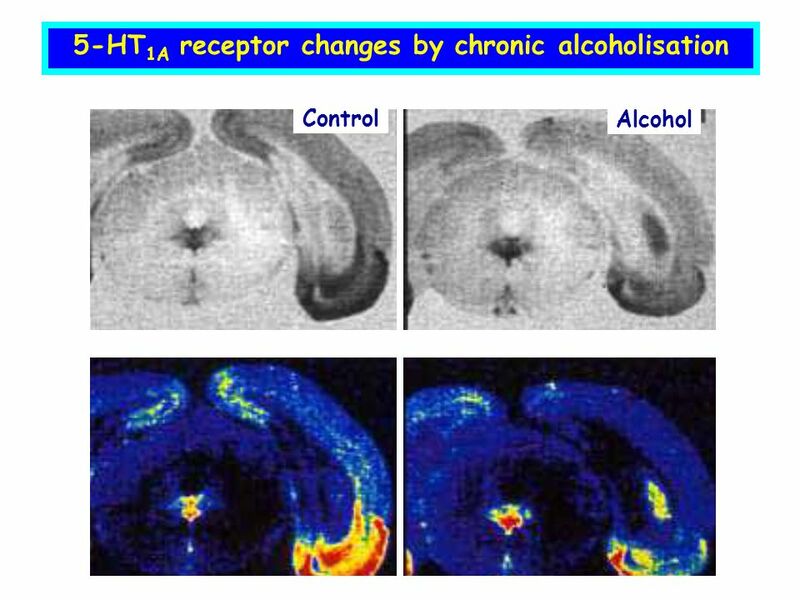 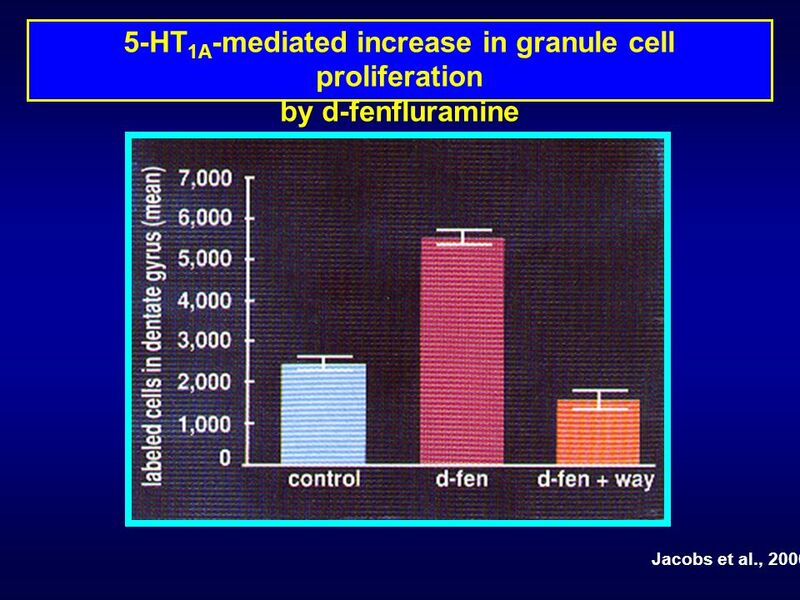 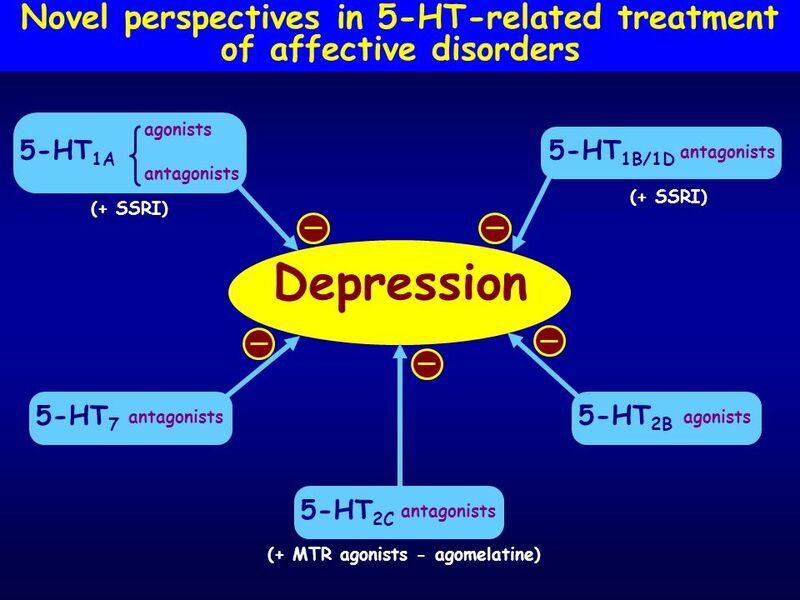 Antidepressants decrease 5-HT2A receptor density (but ECS increases) and 5-HT1A autoreceptor functioning. 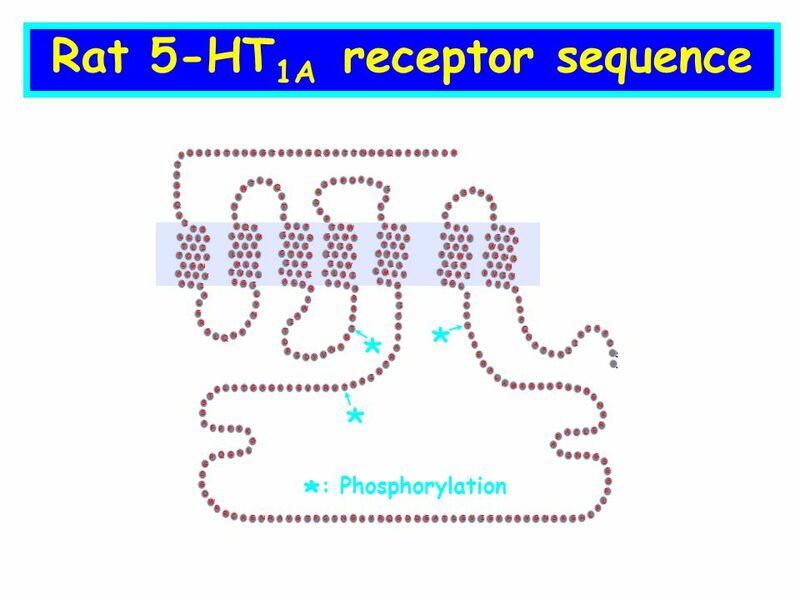 K+ 5-HT1A Adenylyl cyclase Ga Gg Gb RGS ? 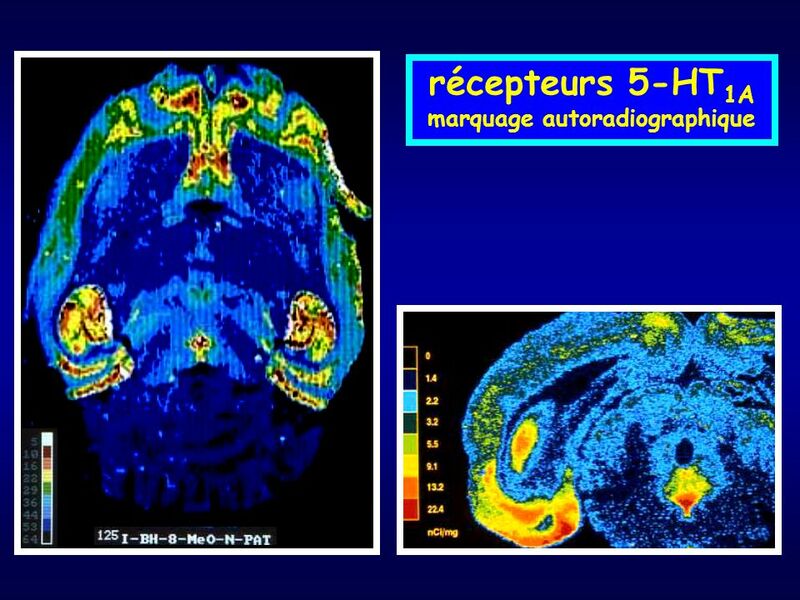 CAM? 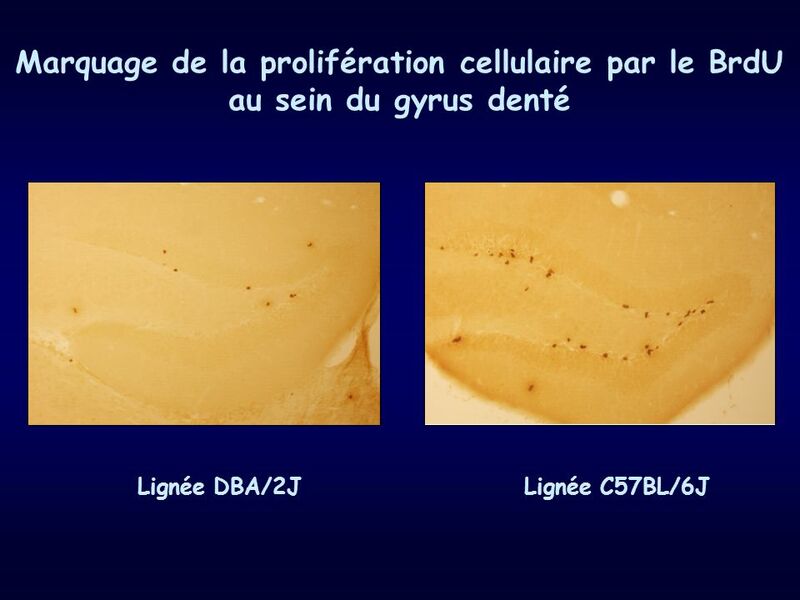 GIRK PSD95 ? 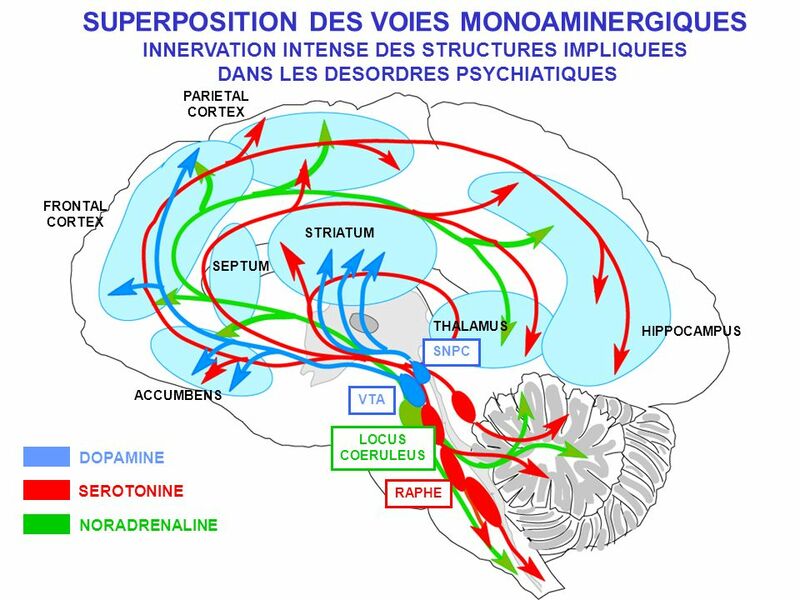 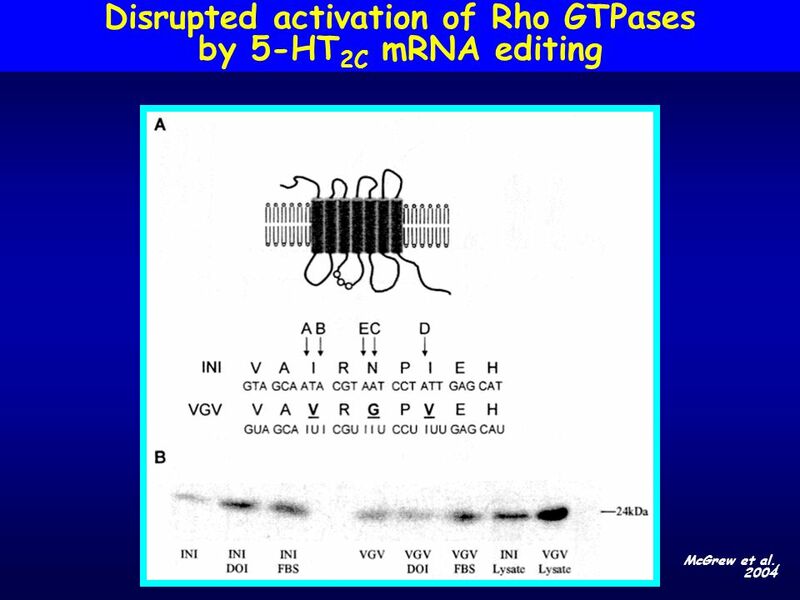 Notion de transductosome : Rôle prot à domaine PDZ ? 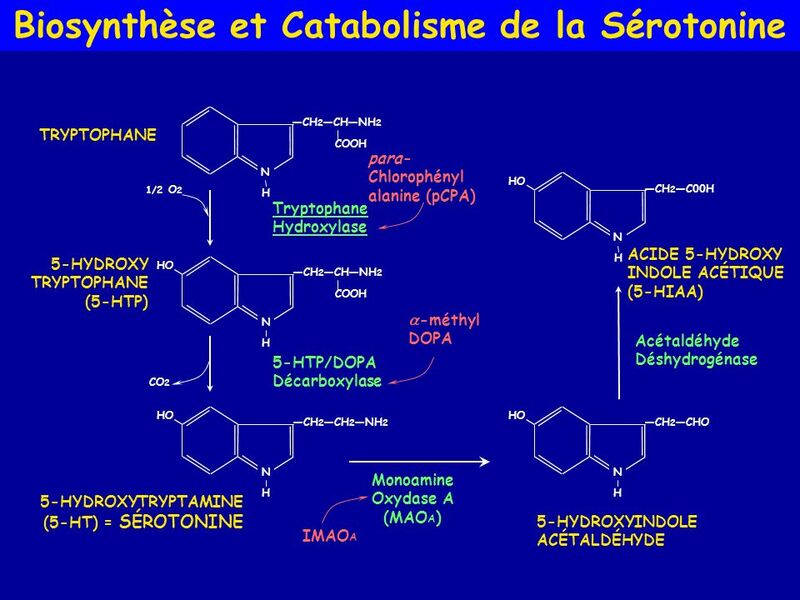 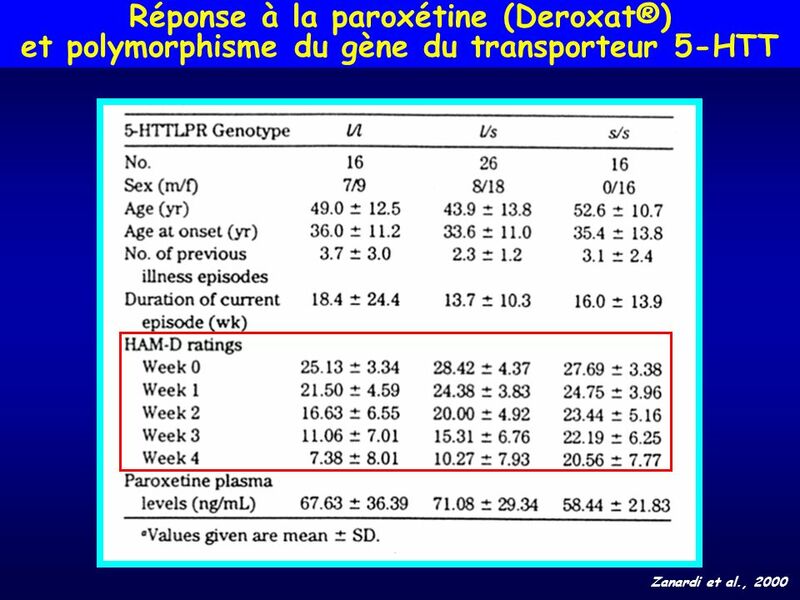 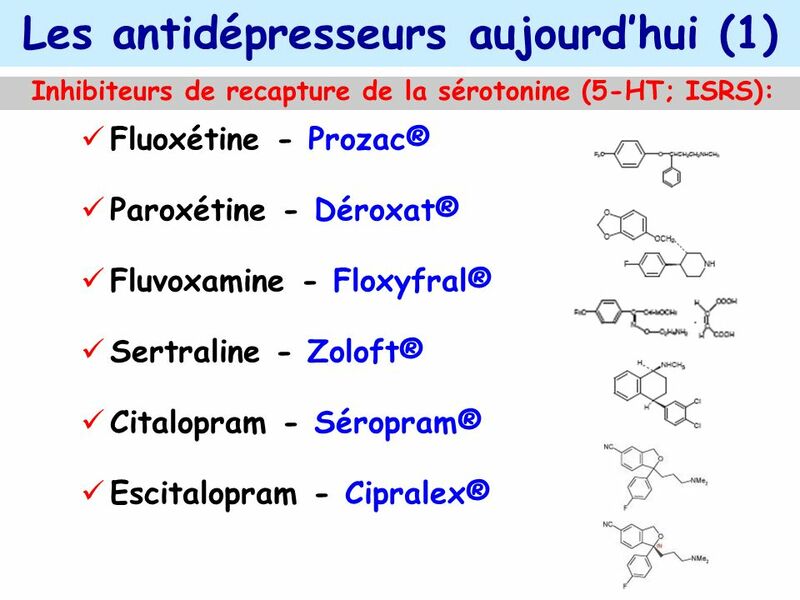 Ex R 5-HT2C : prot associée à l’ext C term des R (PSD95, SAP1, Veli3, dynamine, calmoduline, actine PSD95 : rôle dans la resensibilisation, maintien du R à la membrane homer Filamin ? 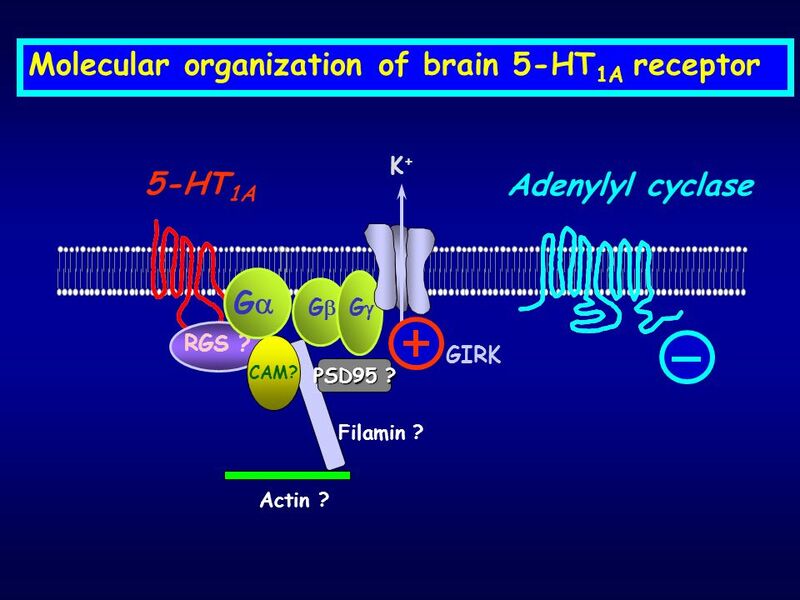 Actin ? 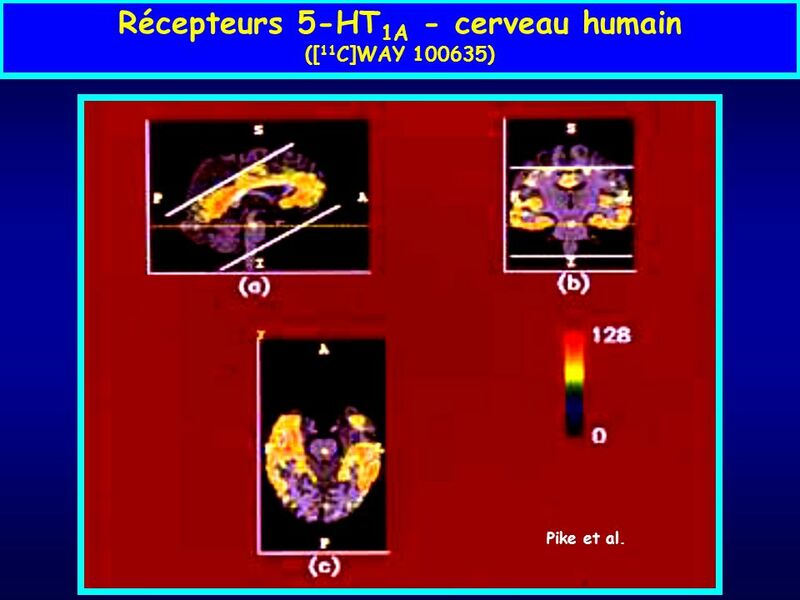 ([11C]WAY ) Pike et al. 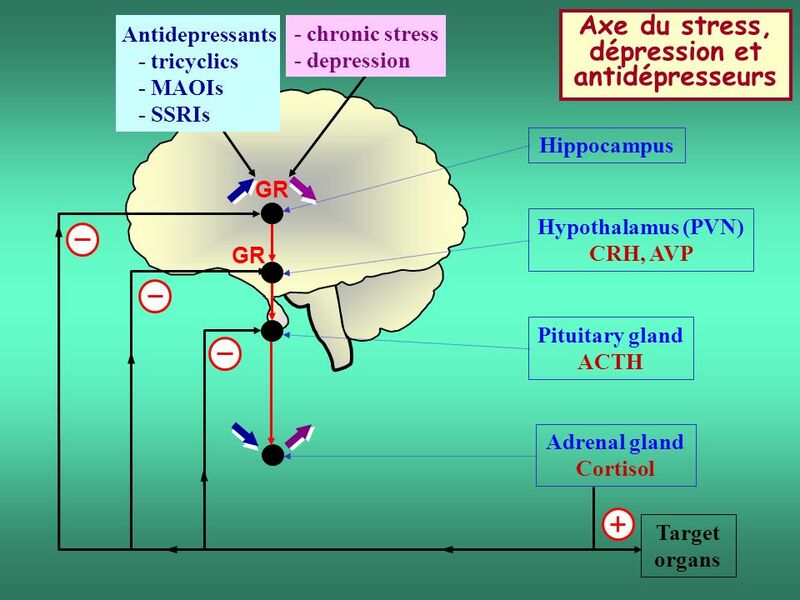 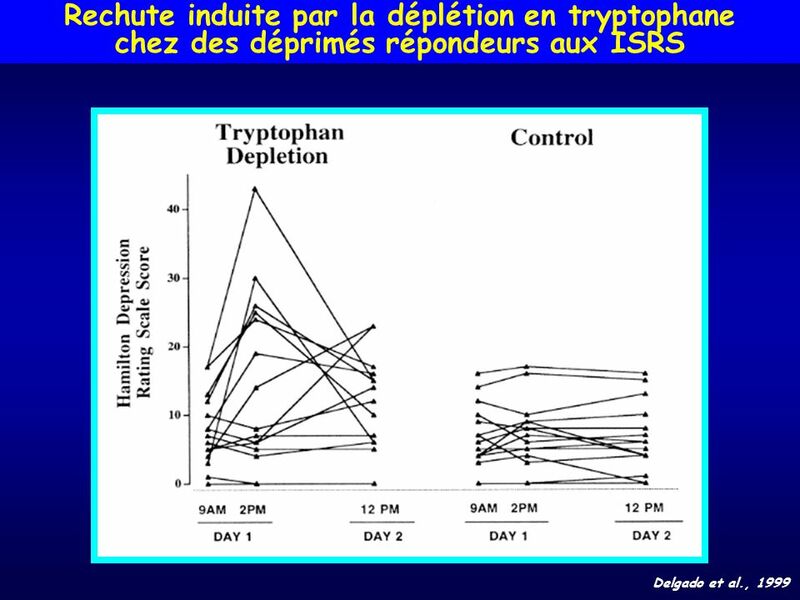 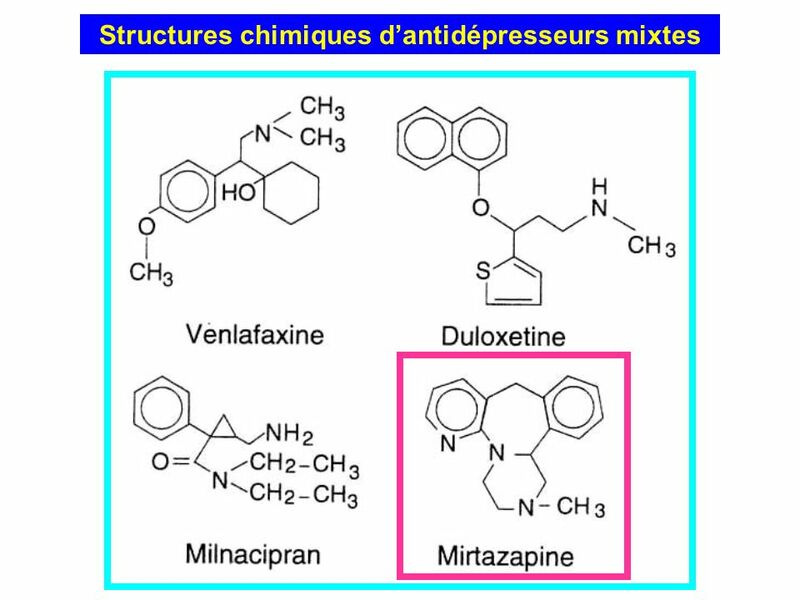 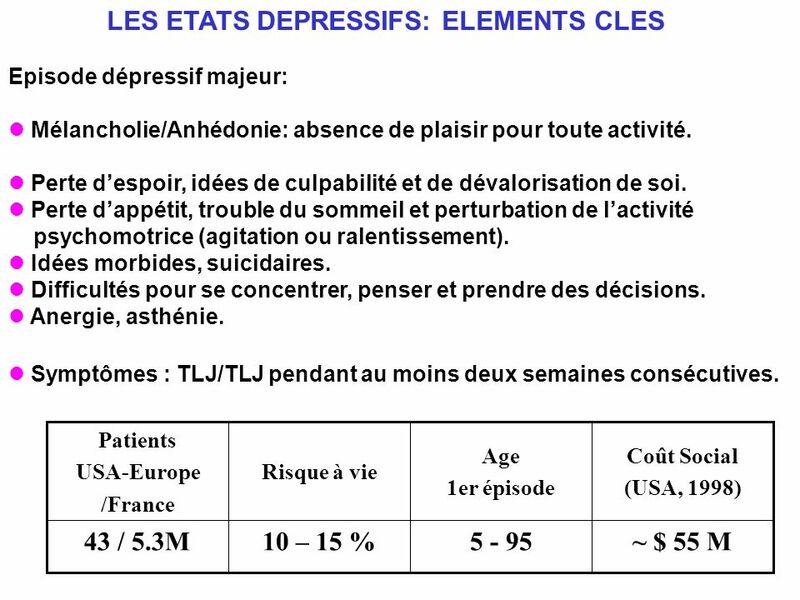 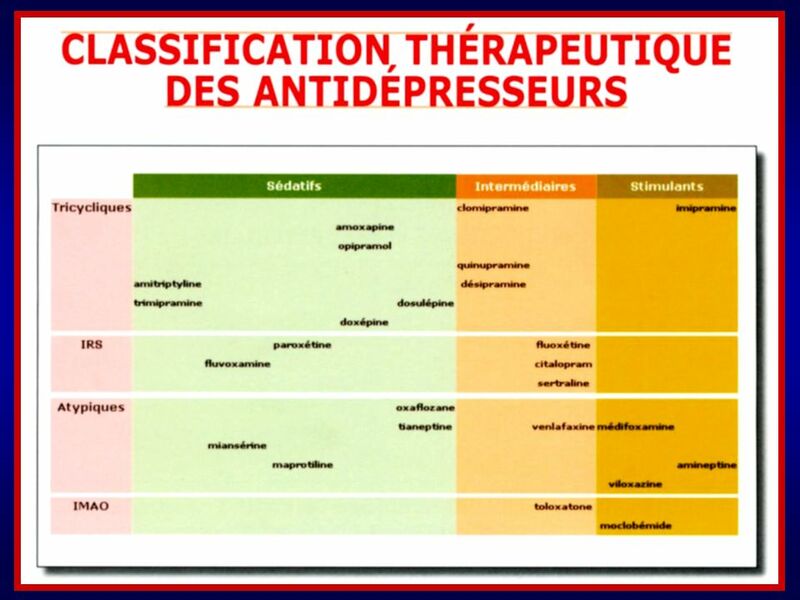 Télécharger ppt "LES ETATS DEPRESSIFS: ELEMENTS CLES"